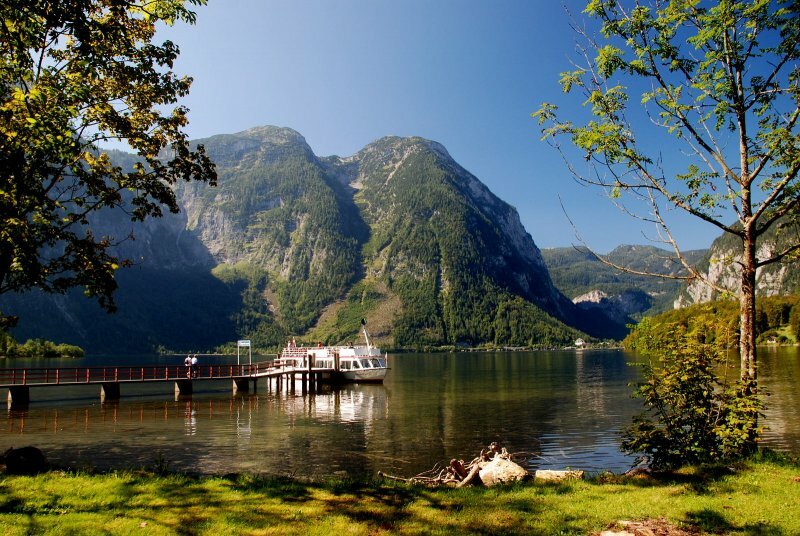 Hotel Seerose is on the edge of Lake Hallstatt in the breathtaking Salzkammergut region of Upper Austria. 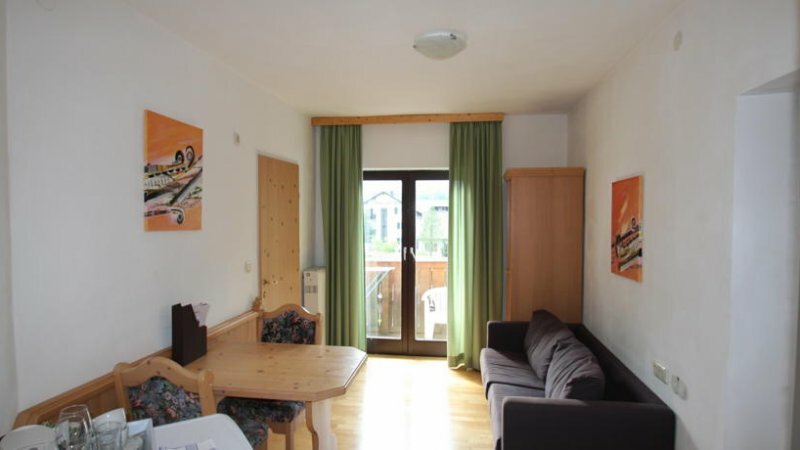 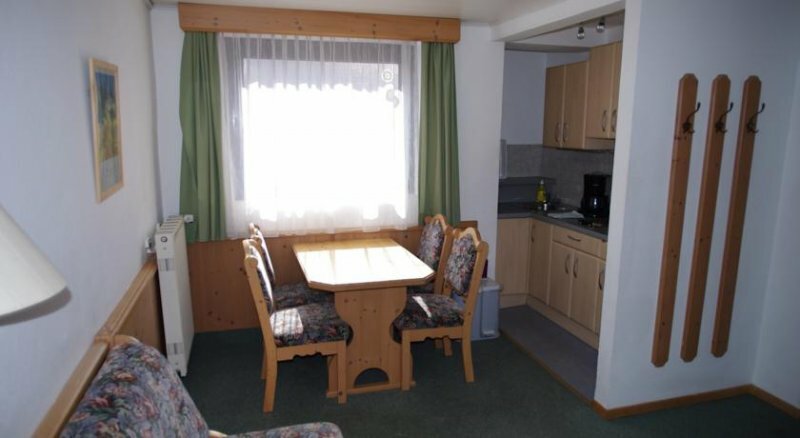 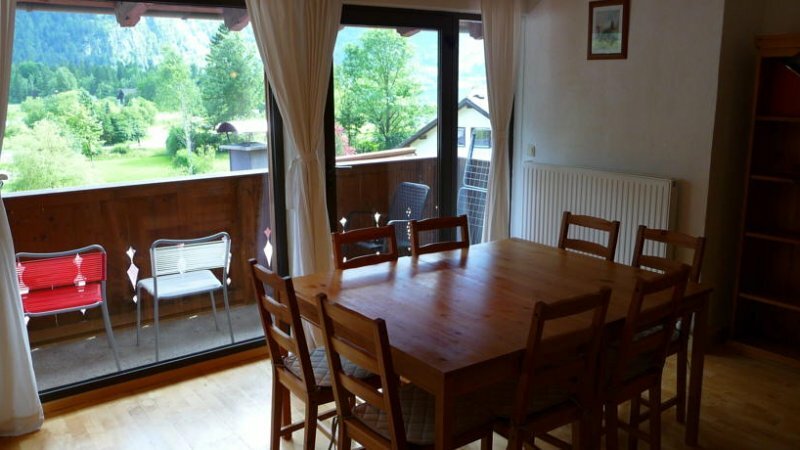 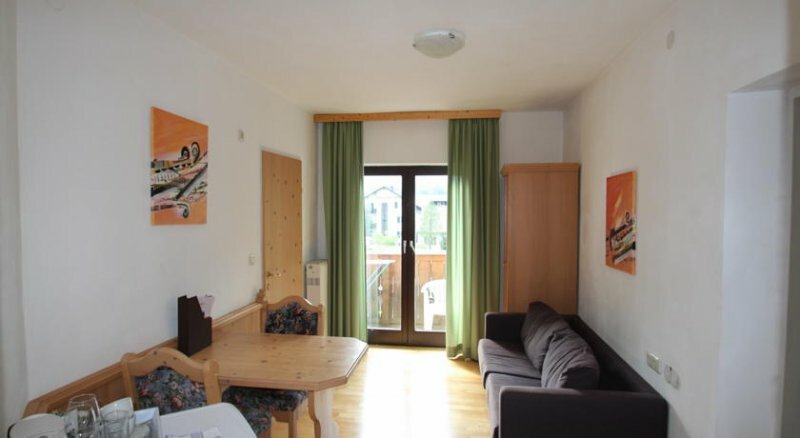 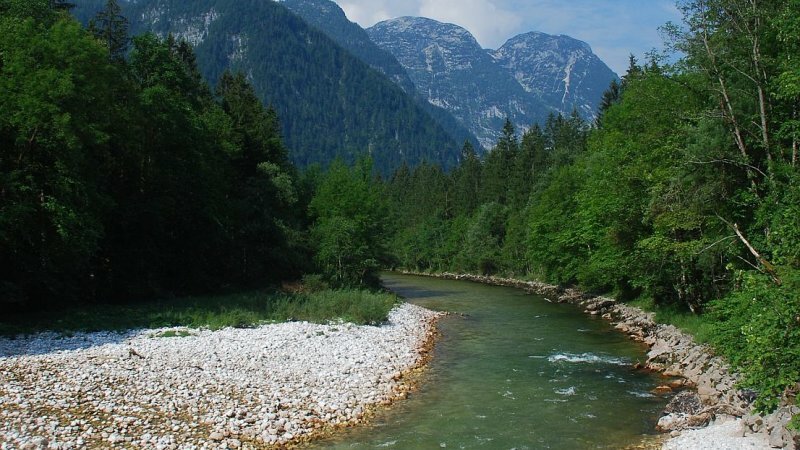 Perfectly situated for exploring the surrounding area of Hallstatt, the Dachstein Mountains or a winter break or fantastic skiing holiday. 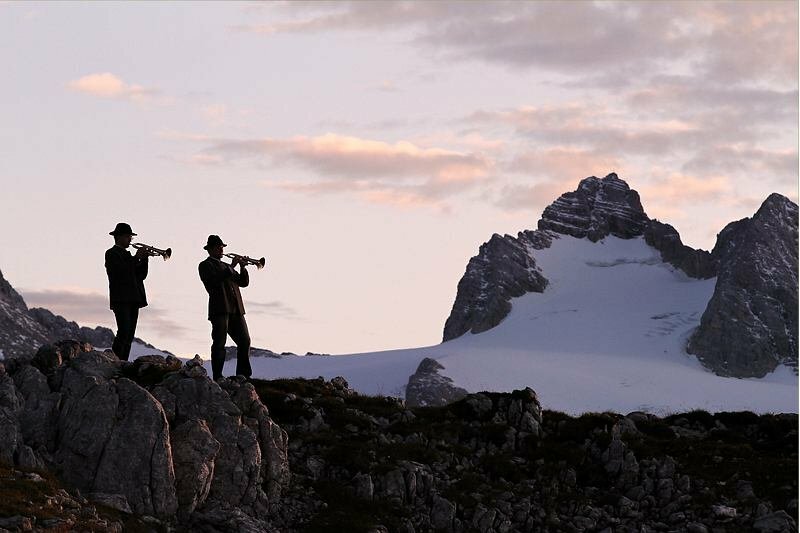 © Mark &amp; Jane Farthing. 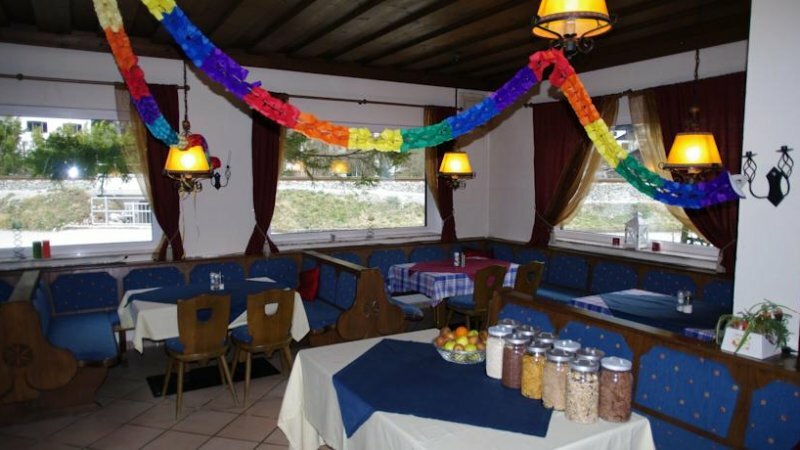 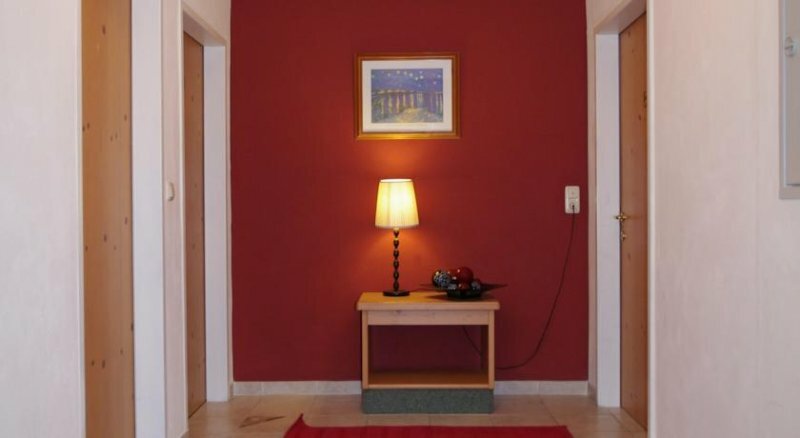 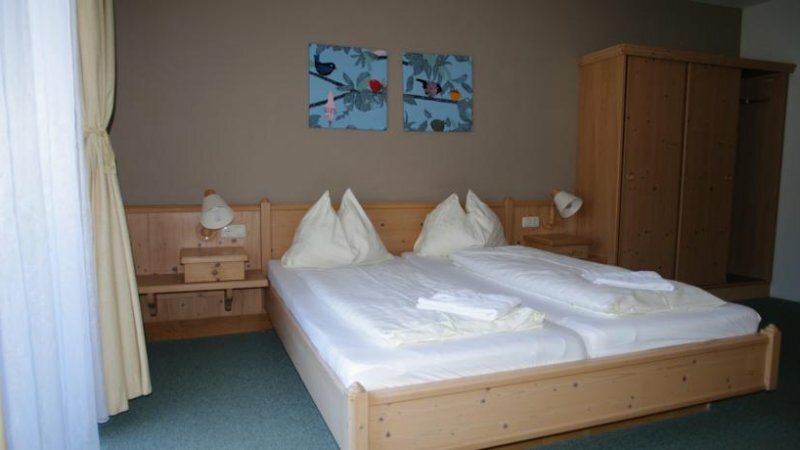 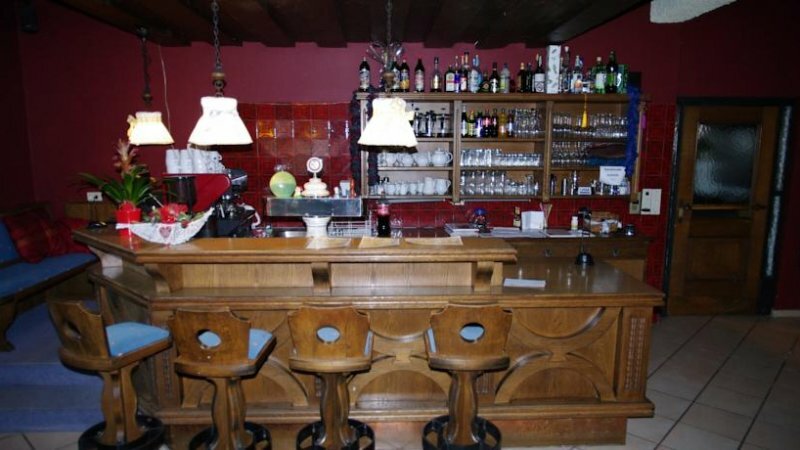 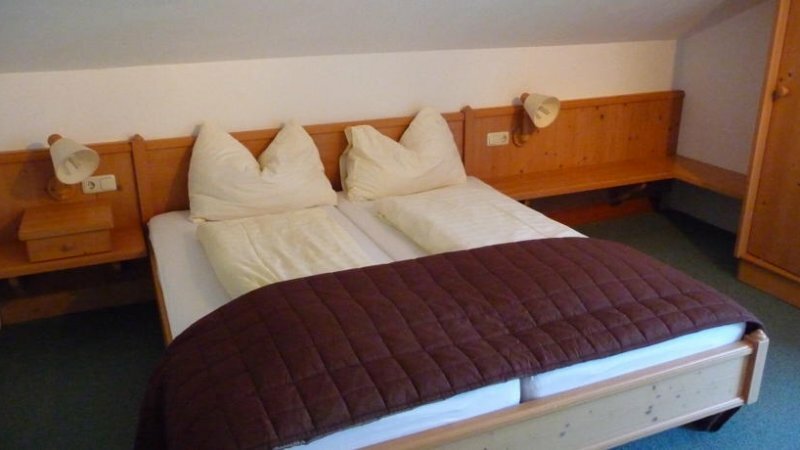 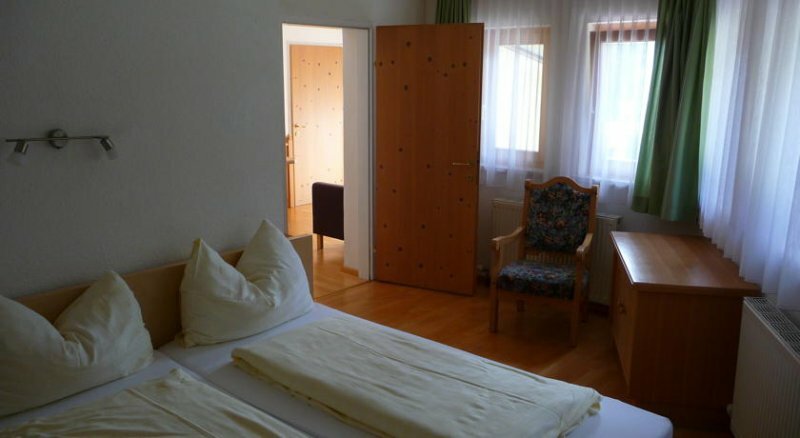 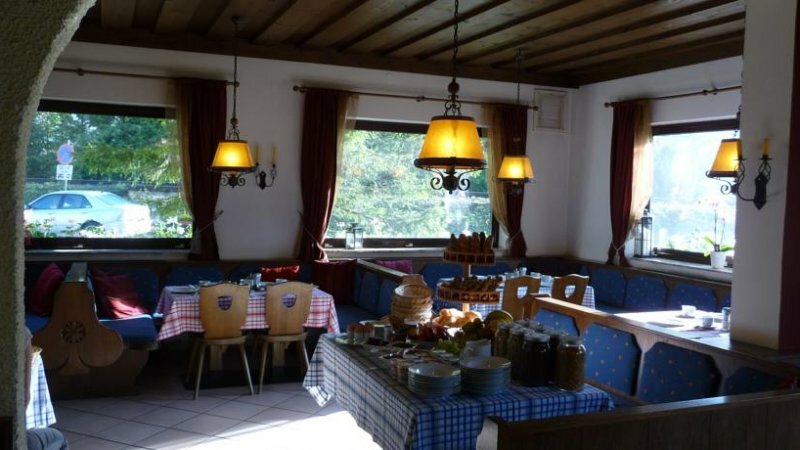 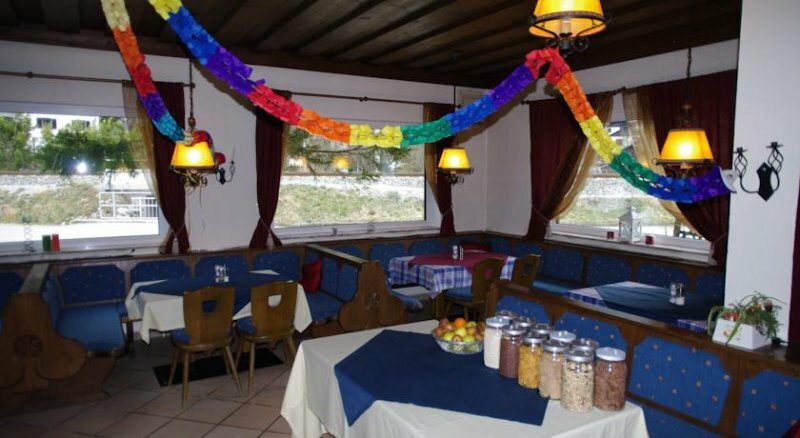 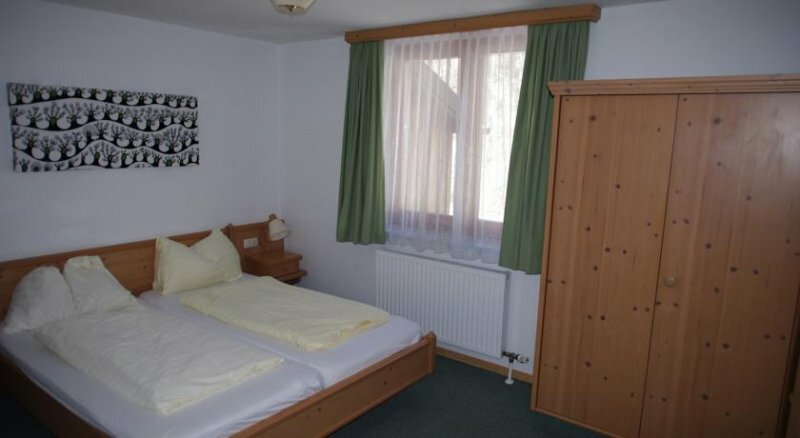 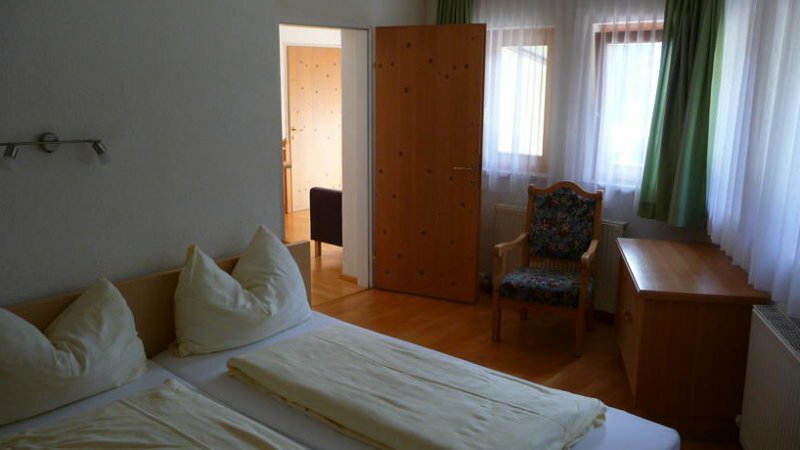 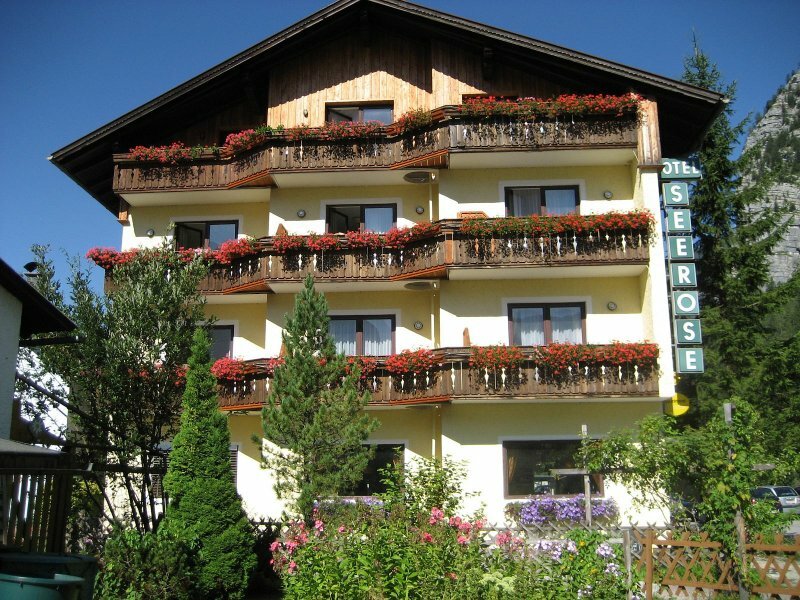 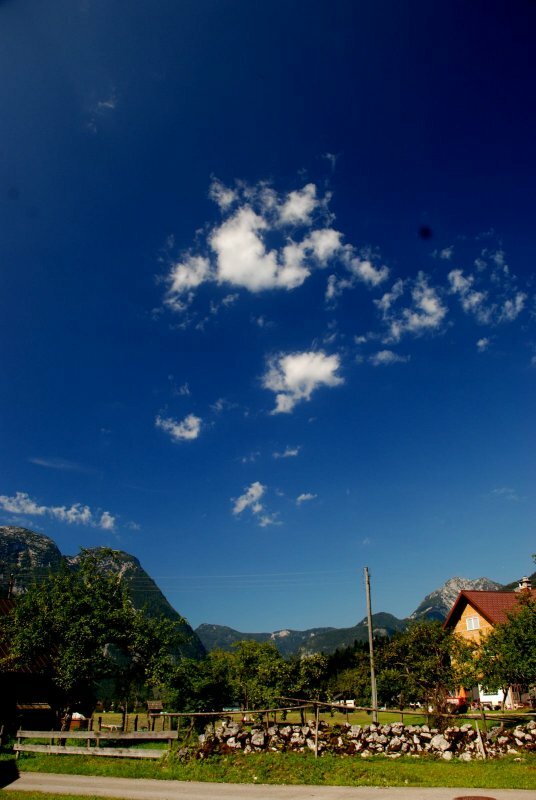 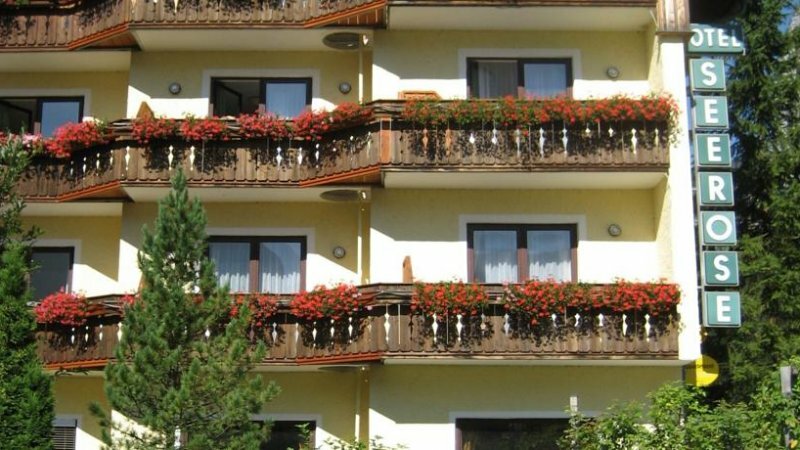 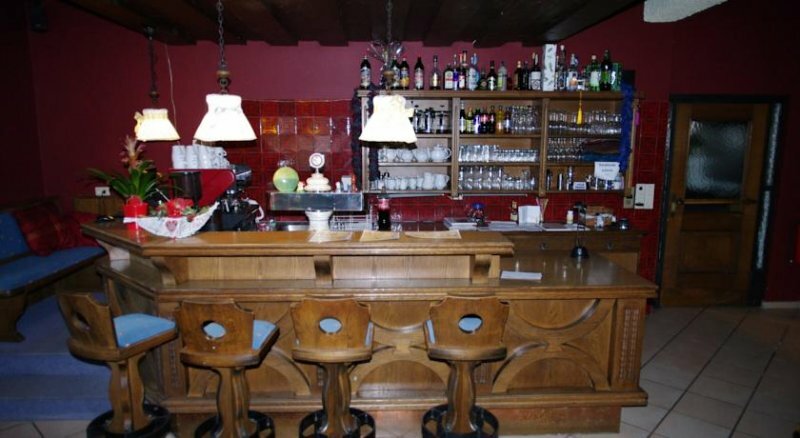 The Hotel Seerose is a small family run Apartment Hotel in the charming village of Obertraun on the shore of Lake Hallstatt only 4kms from the Hallstatt village. 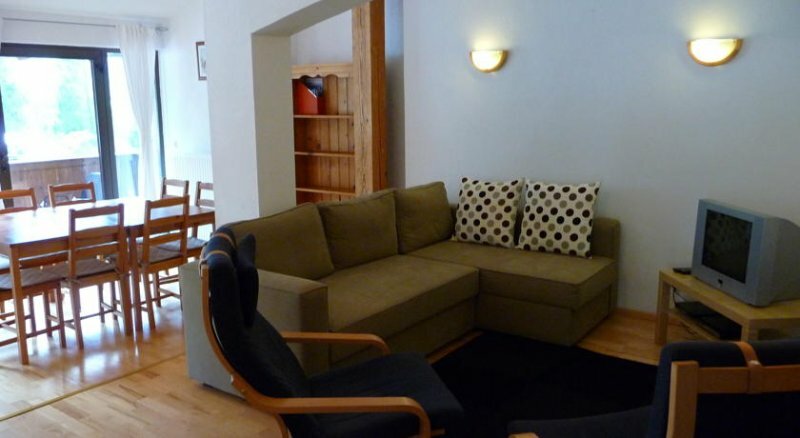 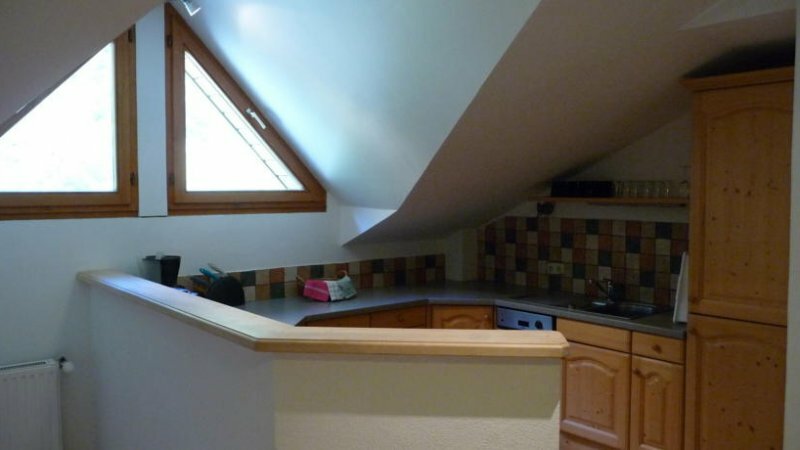 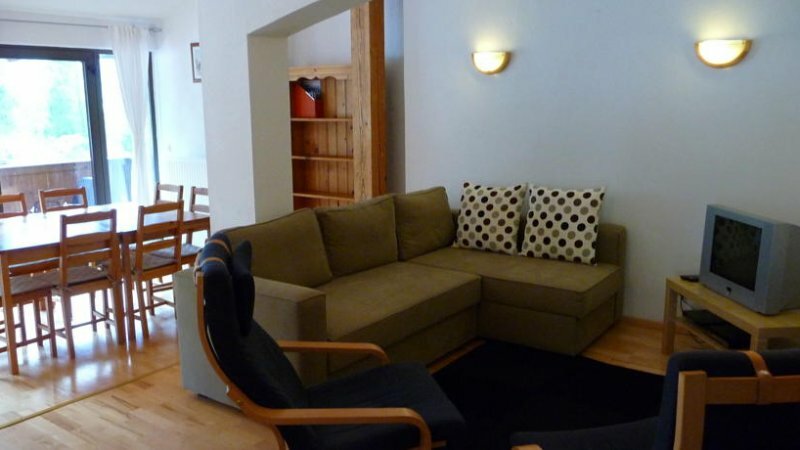 Our Hotel has 8 newly refurbished self contained Single or double bedroom apartments, each with its own spacious lounge/dining area and kitchen. 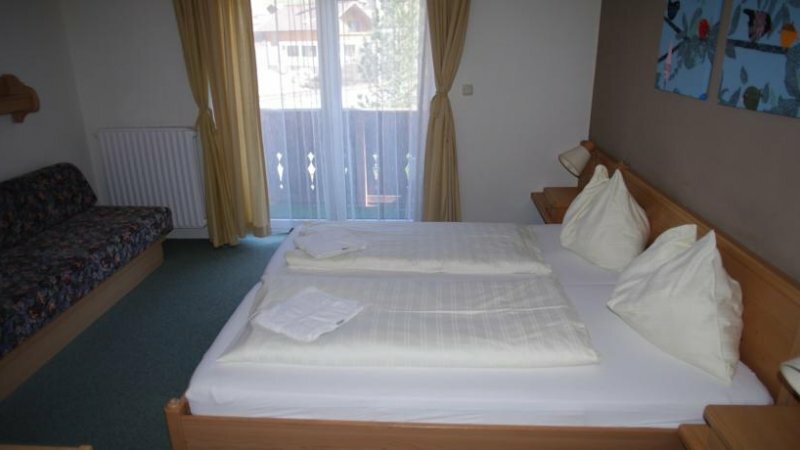 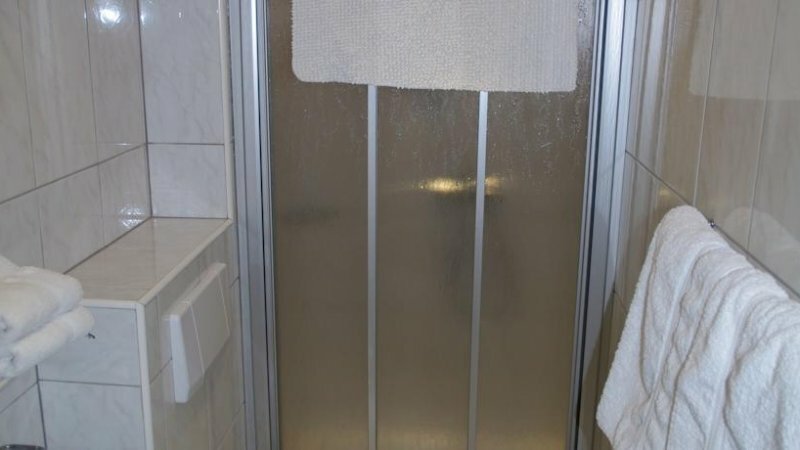 Every bedroom has its own en suite shower room, equipped with Sat TV, DVD players, and each has one or two balconies. 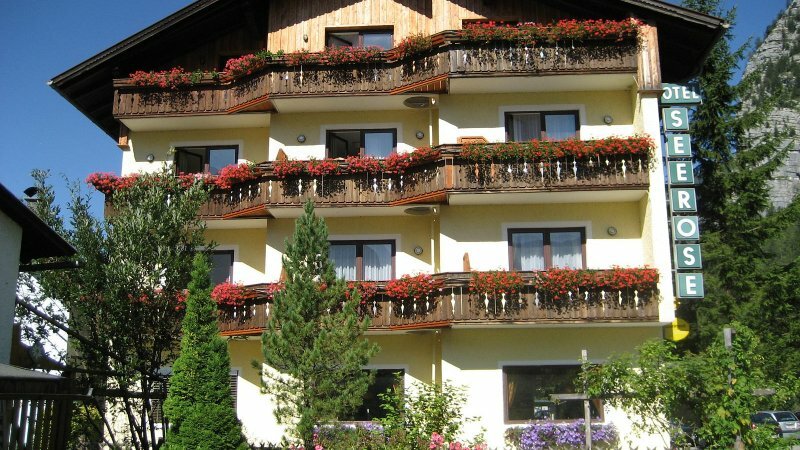 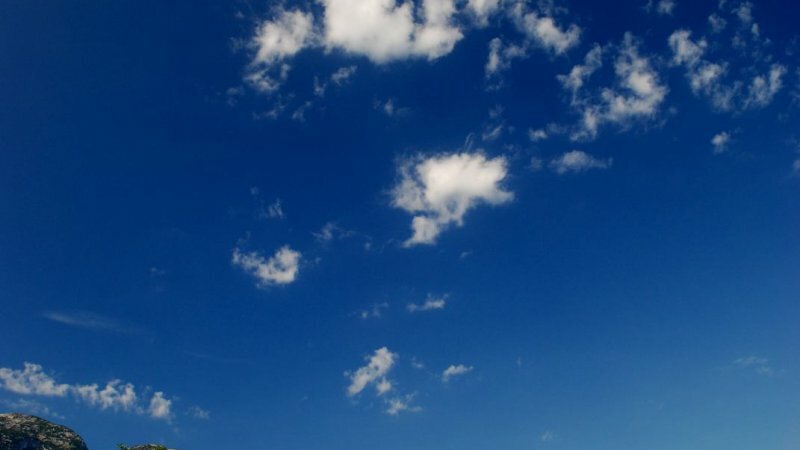 There is ample free of charge parking in front of the Hotel. 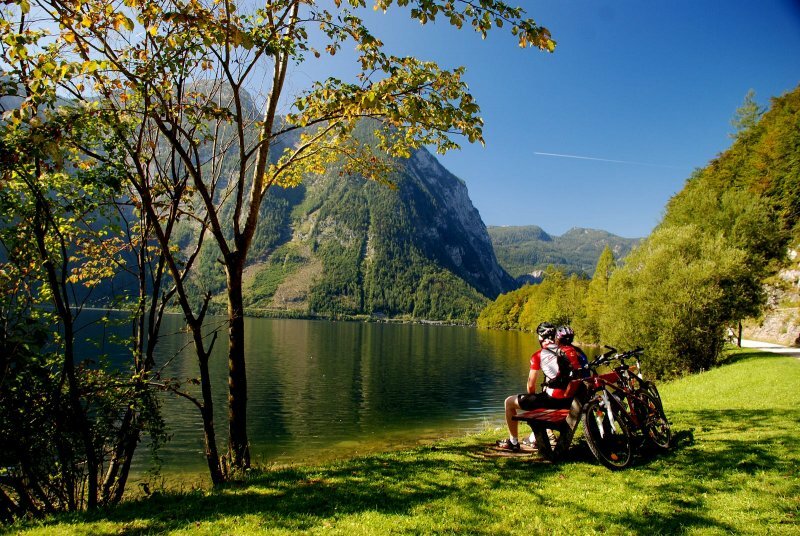 Bike and Canoes are also available for hire. 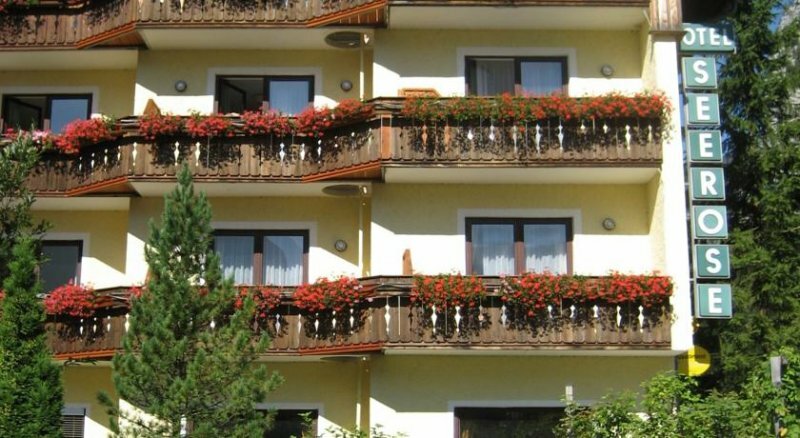 In addition to our self-catered apartments we offer Bed and Breakfast, as well as a fully catered package during the winter months. 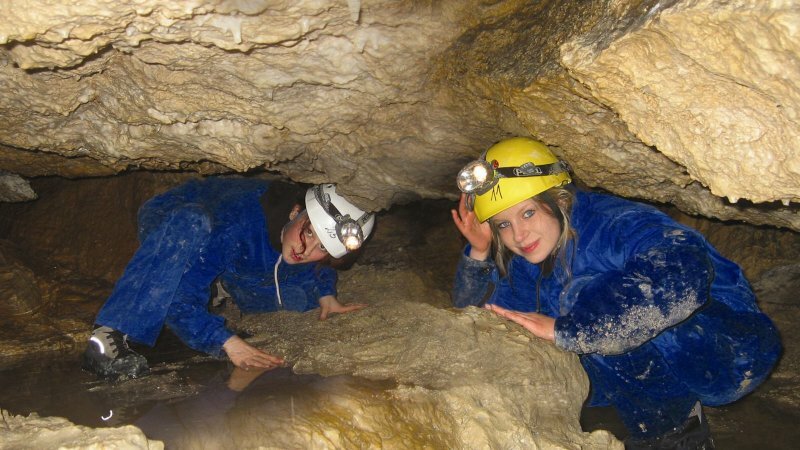 You'll never be stuck for something to do when you visit the area. 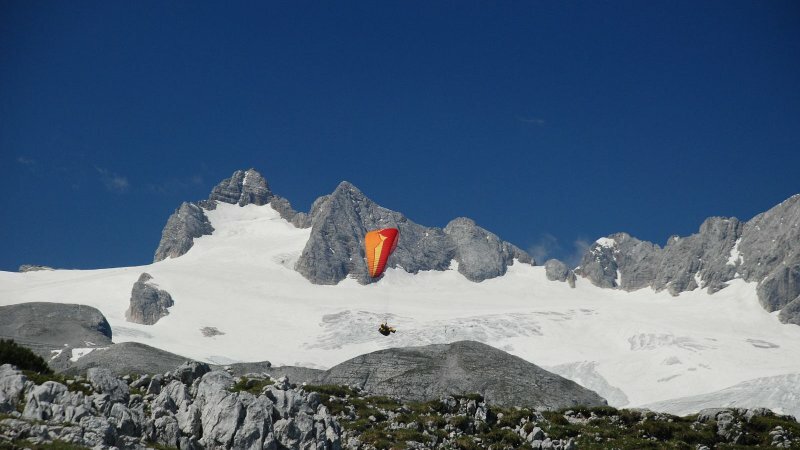 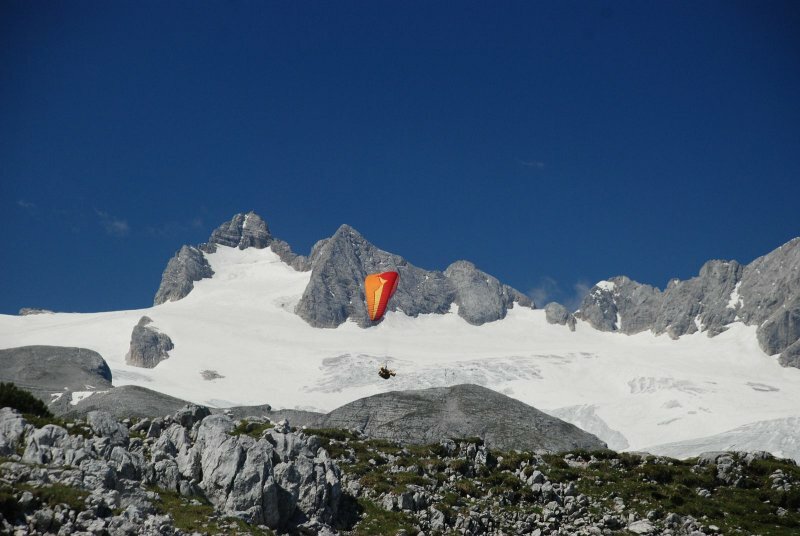 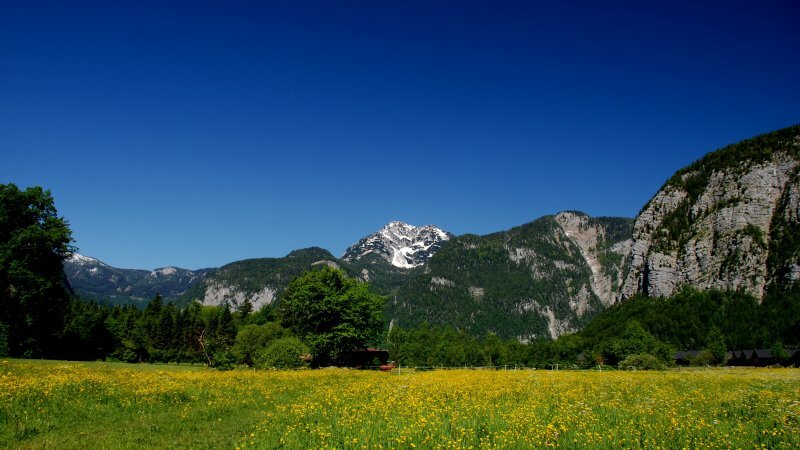 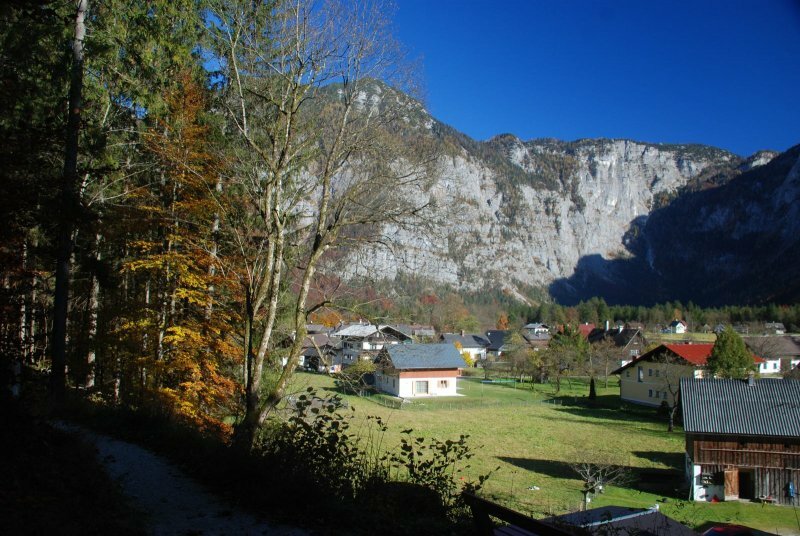 In and around Obertraun there are tennis courts, horse riding possibilities, golf courses, canoeing, biking, and paragliding, climbing and - of course - skiing. 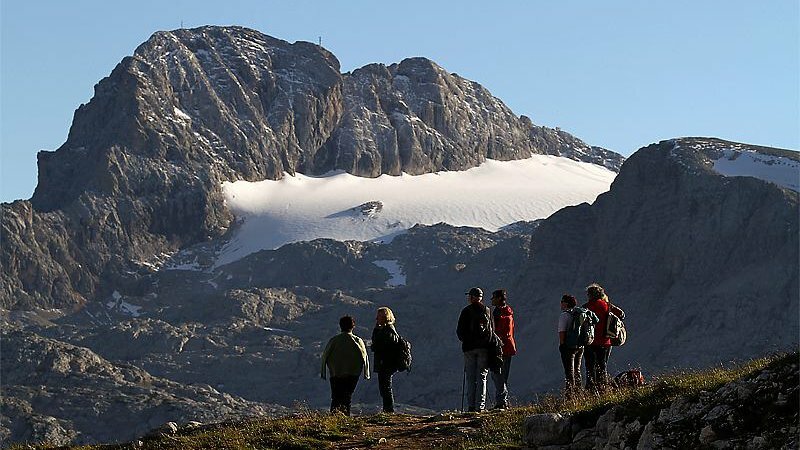 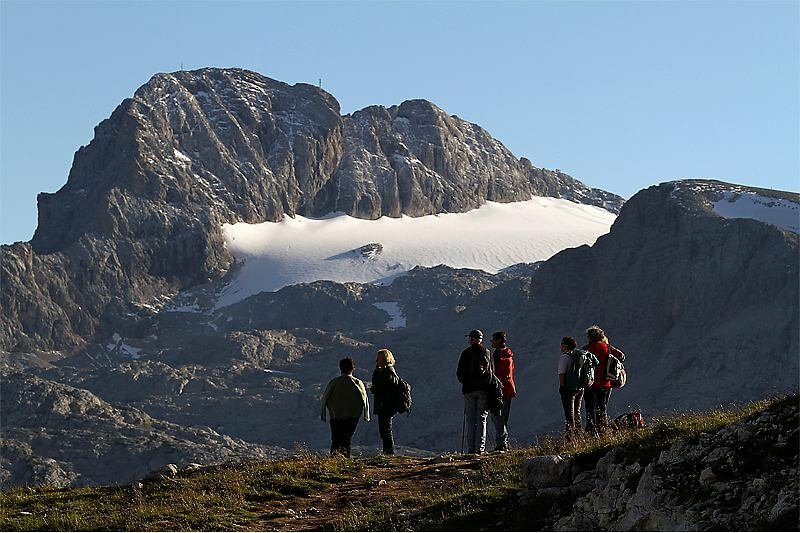 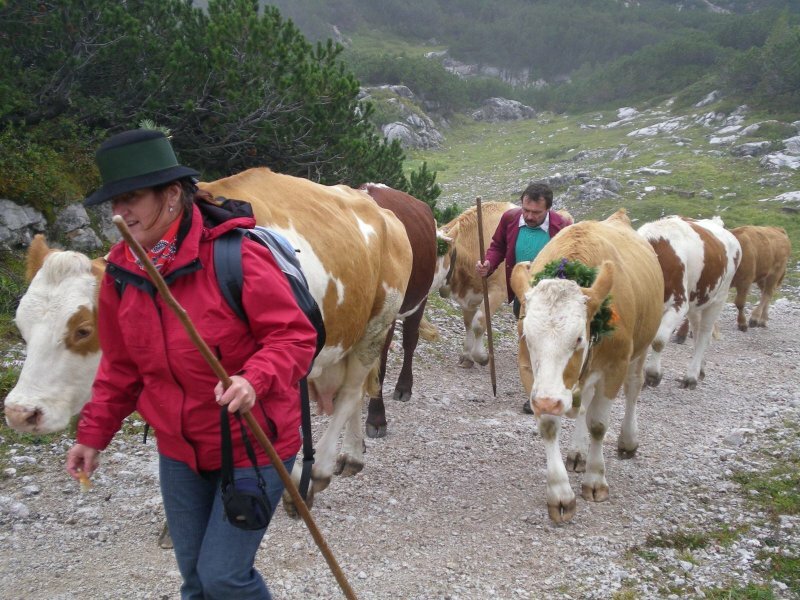 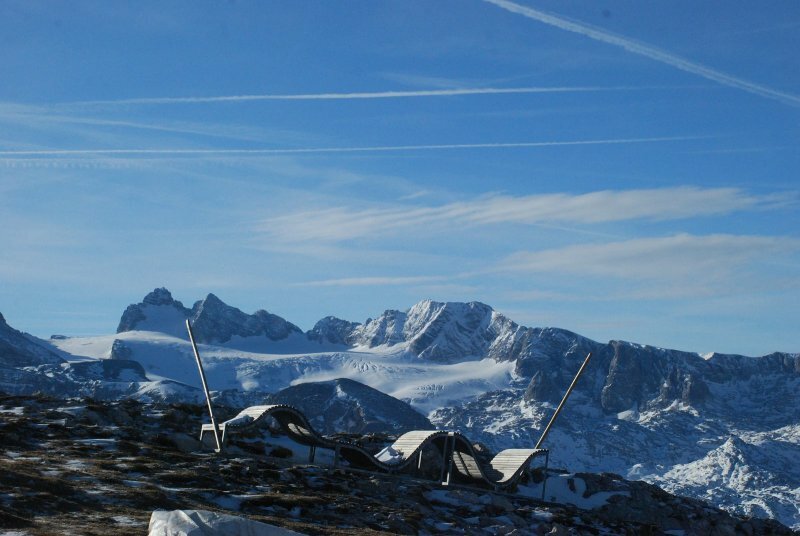 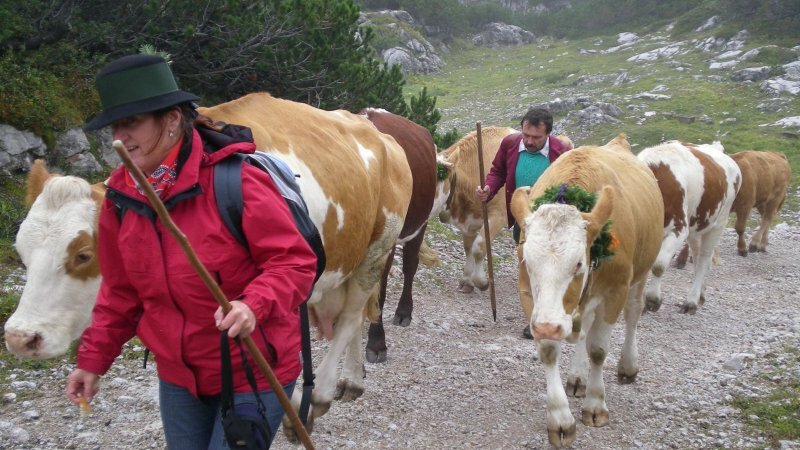 Not to mention the extensive guided hiking tours from mid August until the end of October. 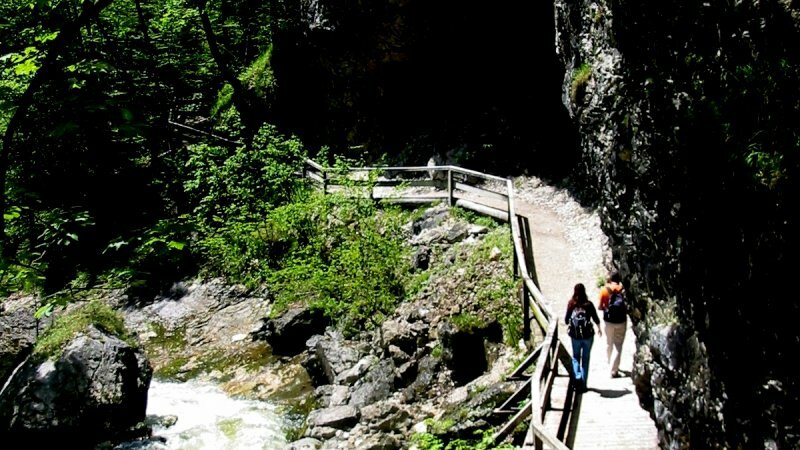 The area has something to offer everyone. 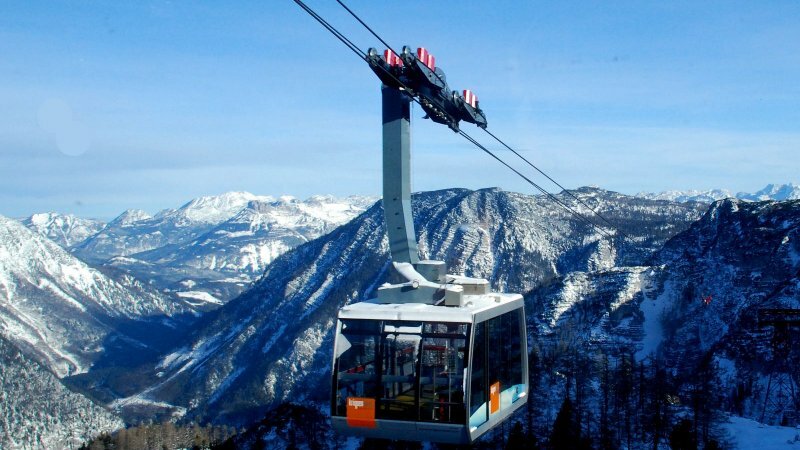 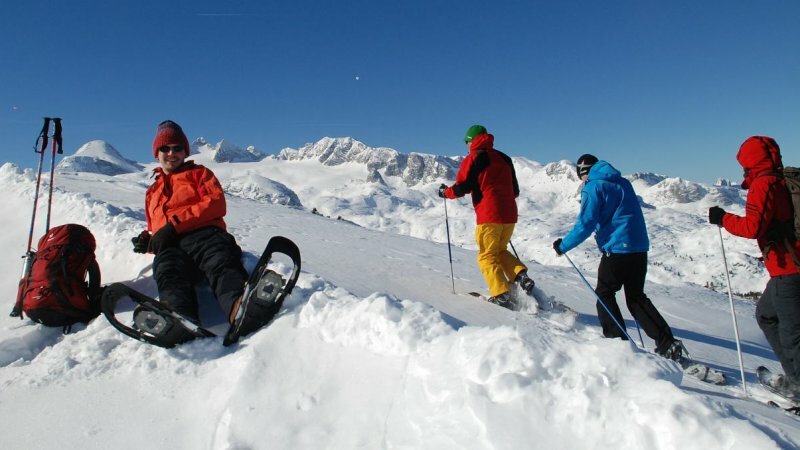 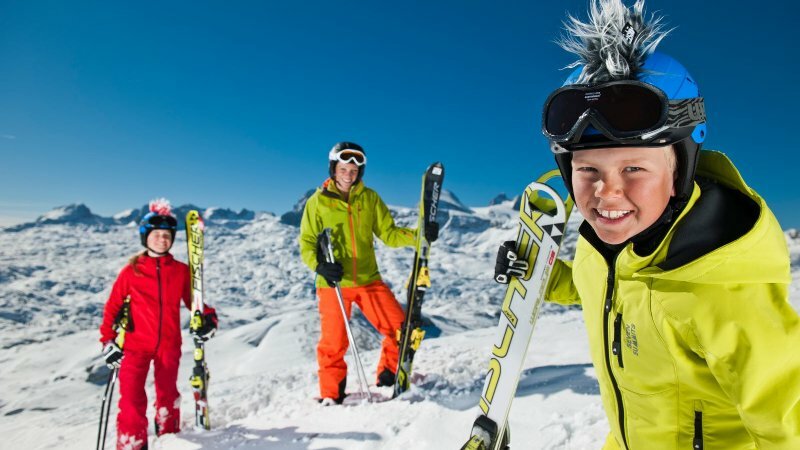 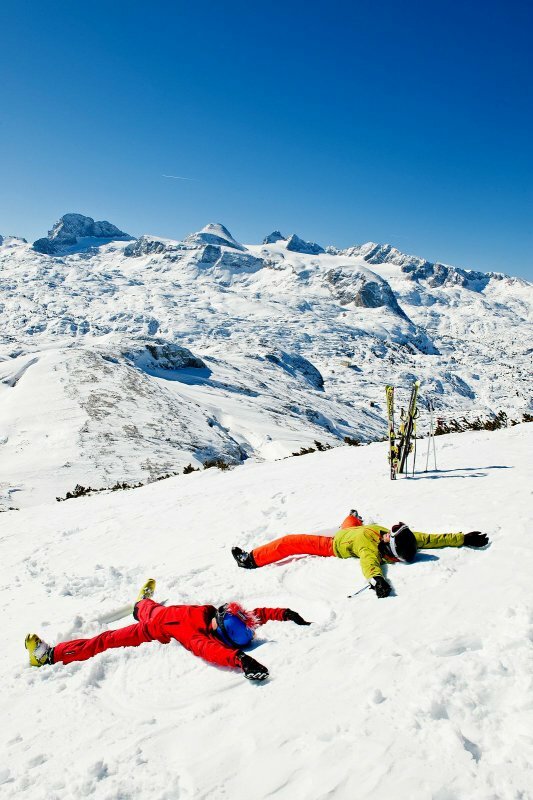 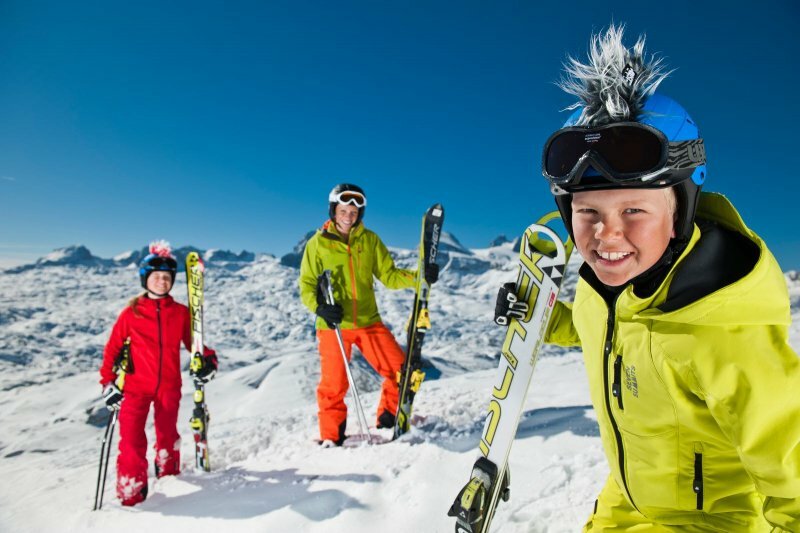 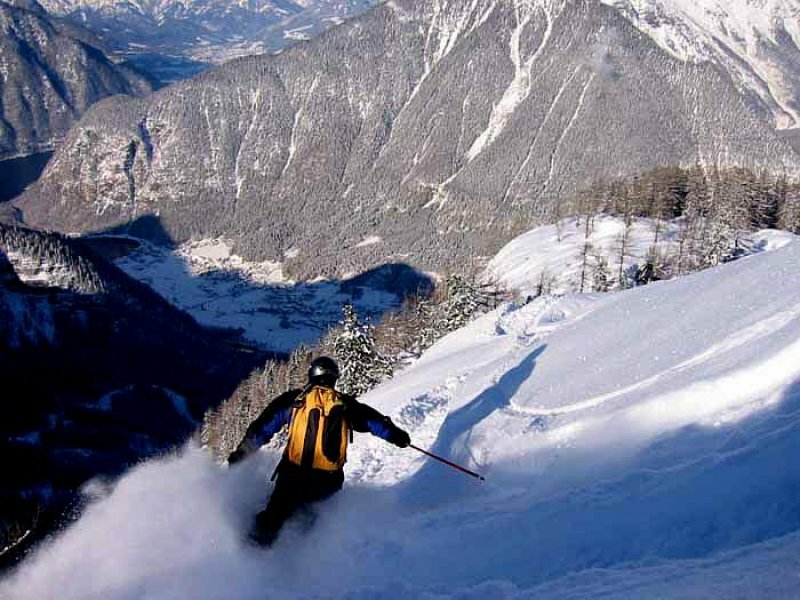 For winter skiing breaks the area is a haven for all ages - with excellent ski schools, great piste, its easy accessibility make the Dachstein Ski Region one of the top destinations for families. 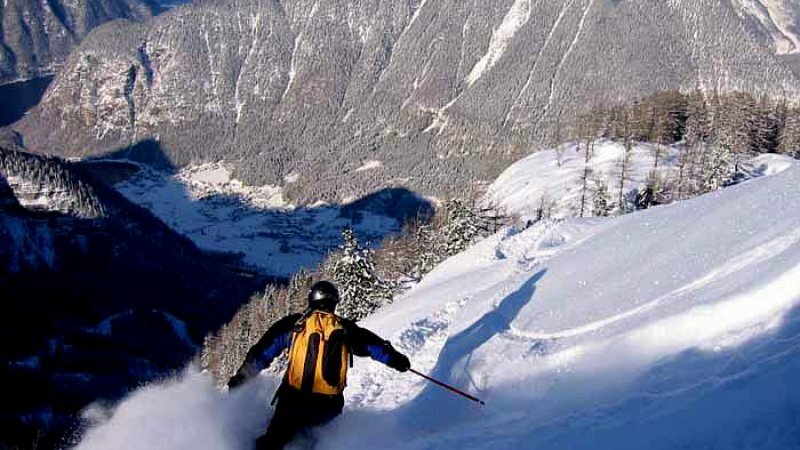 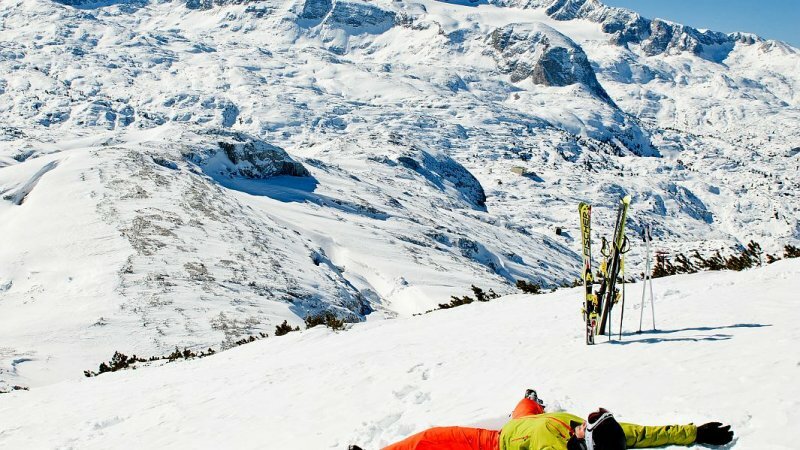 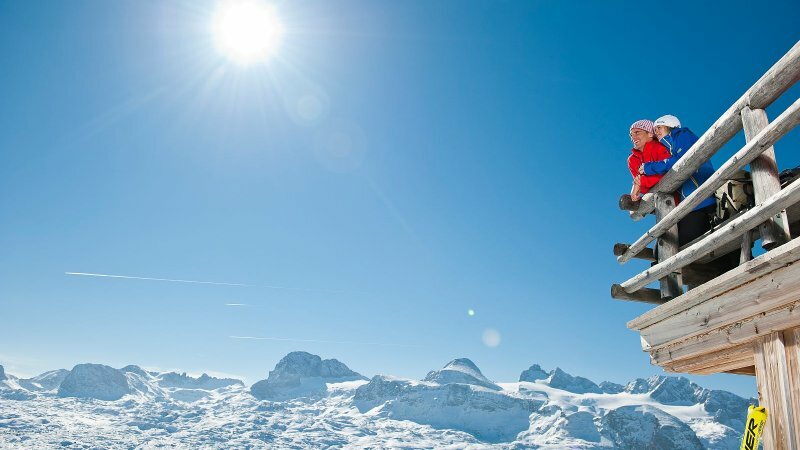 If adventure and thrills are what you are looking for - then check out the Krippenstein, a mountain high above the village of Obertraun where the Free ride area has just been voted the best off piste in Europe. 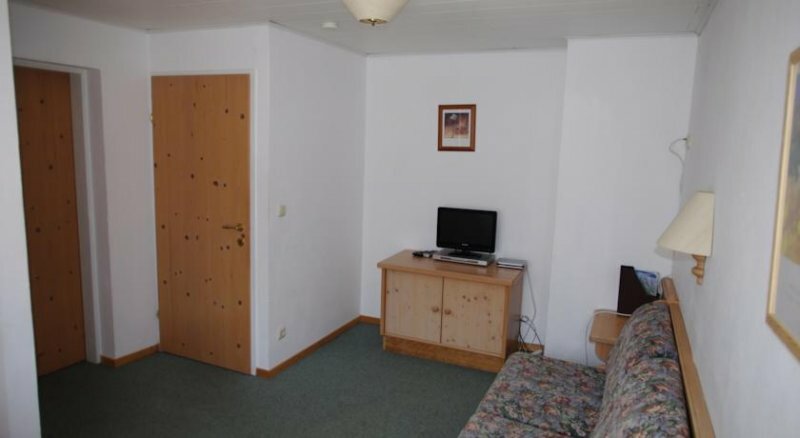 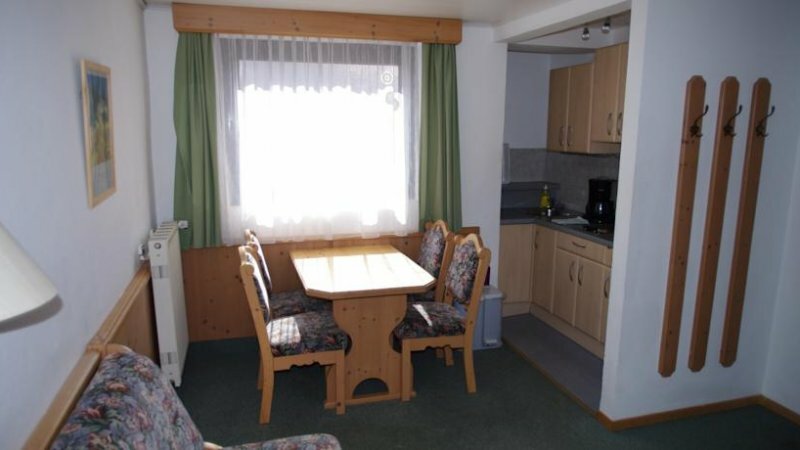 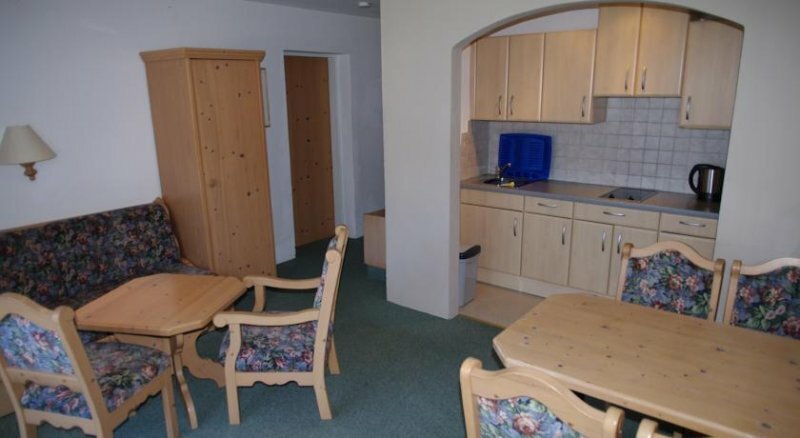 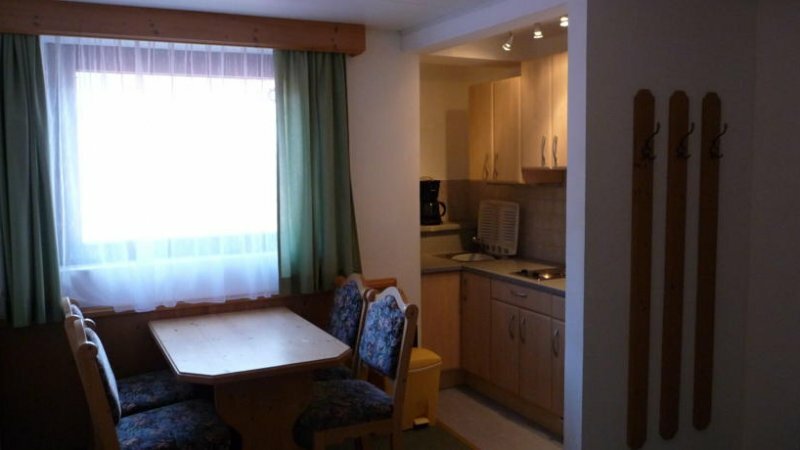 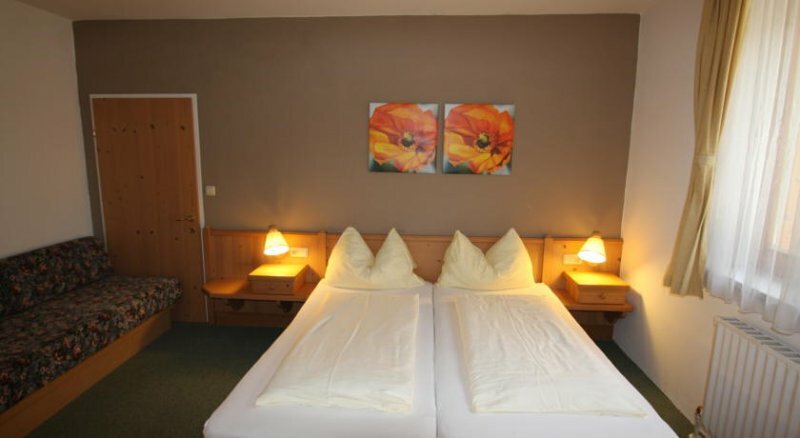 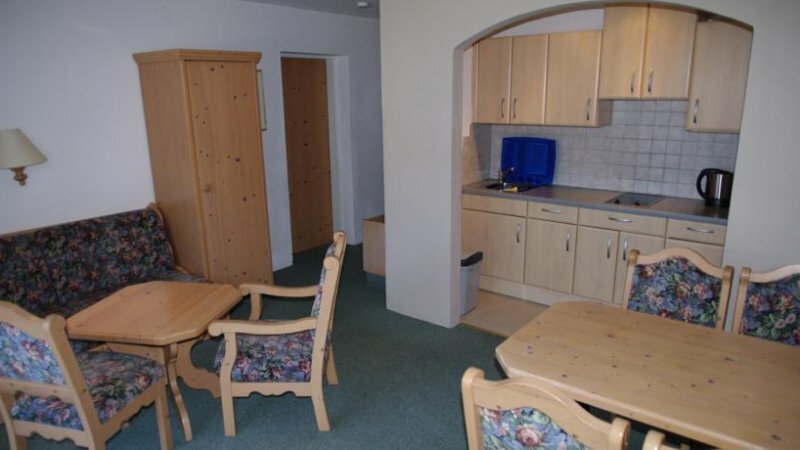 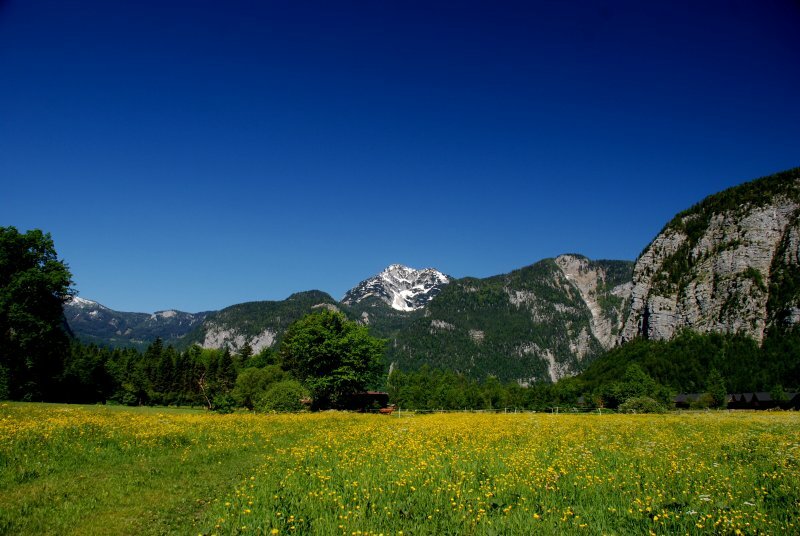 The majority of hosts in the UNESCO World Heritage region of Hallstatt Dachstein Salzkammergut, include the Tourist Tax within in the total price for your accommodation. 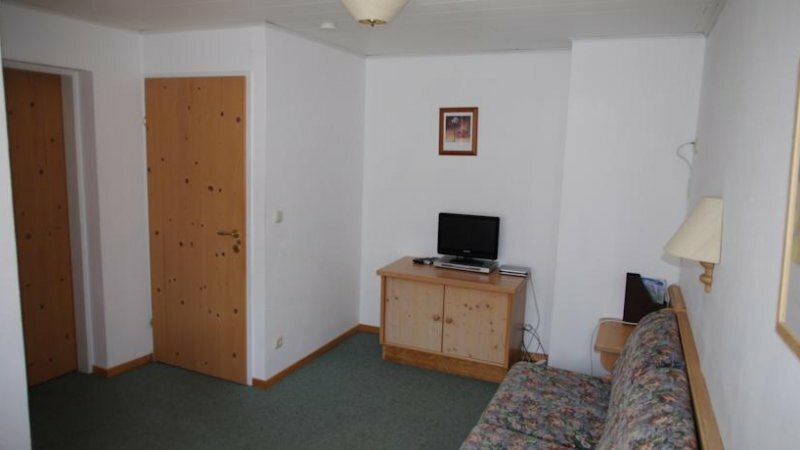 However, in individual cases, this could be charged extra. 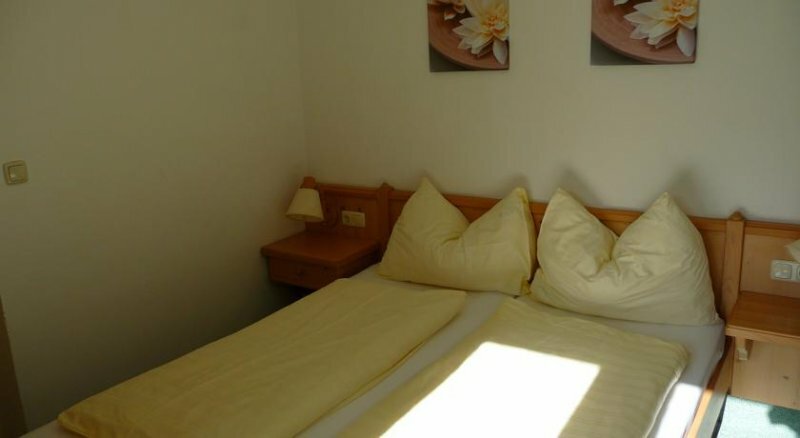 Book Apartment Hotel Seerose now! 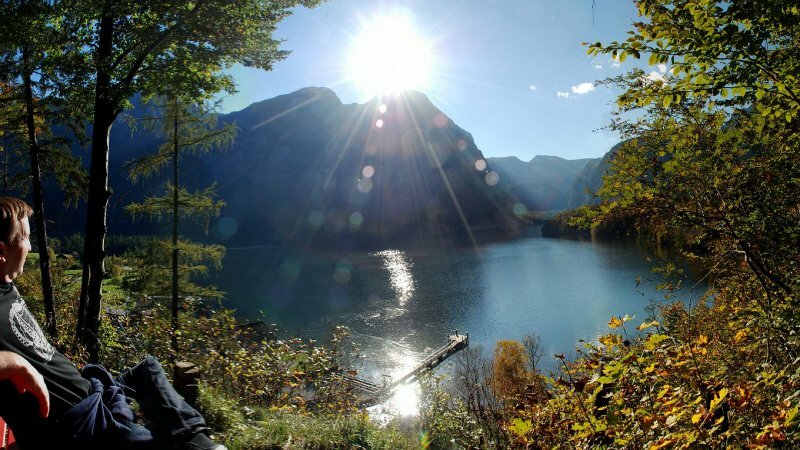 Hiking around Lake Hallsattt: Discover Obertraun in Austria - © Kraft. 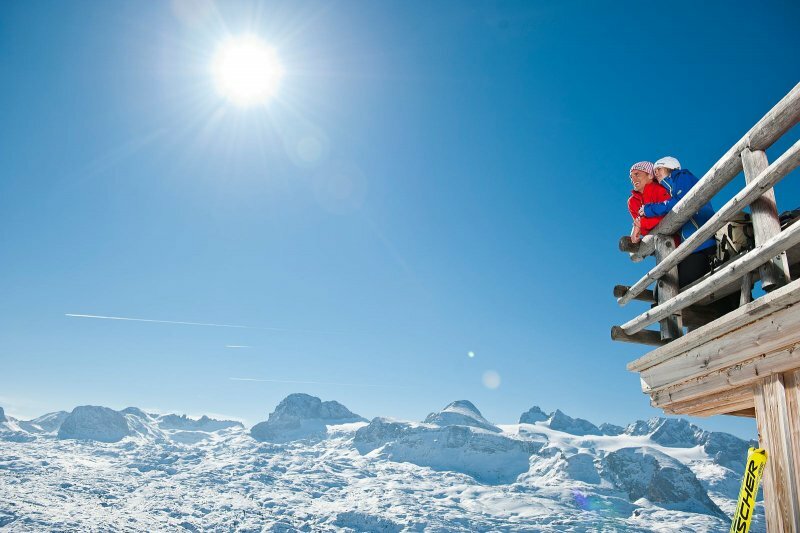 Snow boot hiking in Obertraun: Mount Krippenstein - © Kraft. 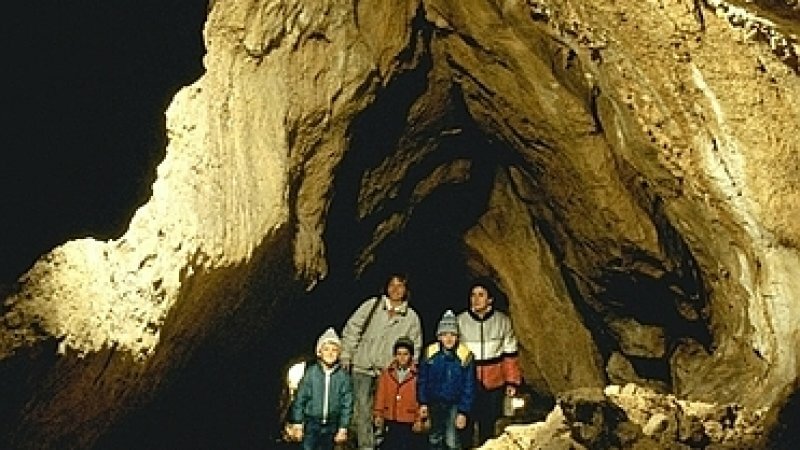 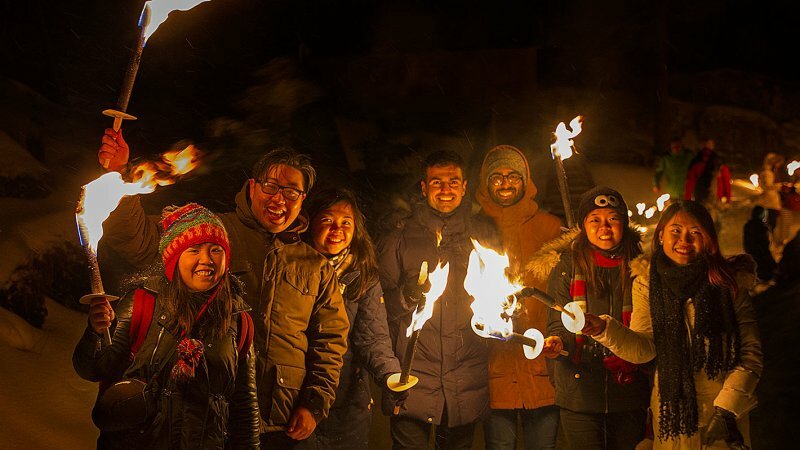 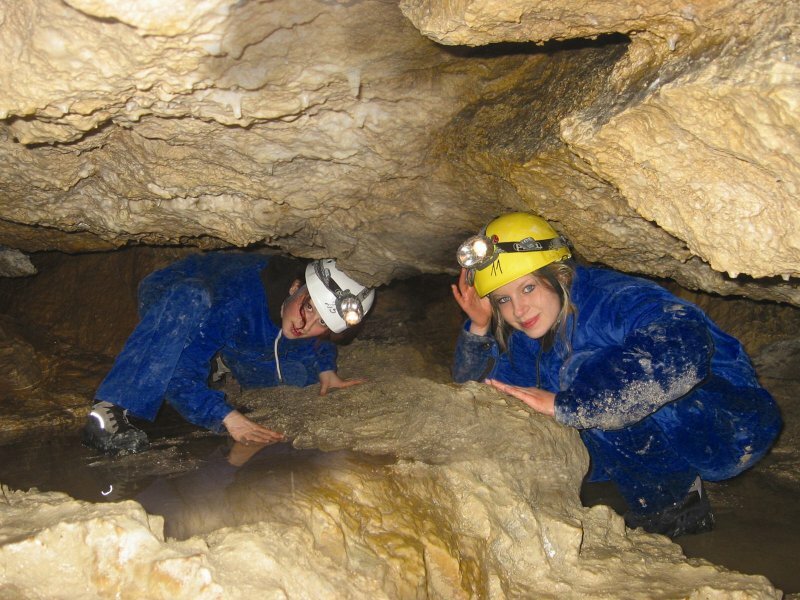 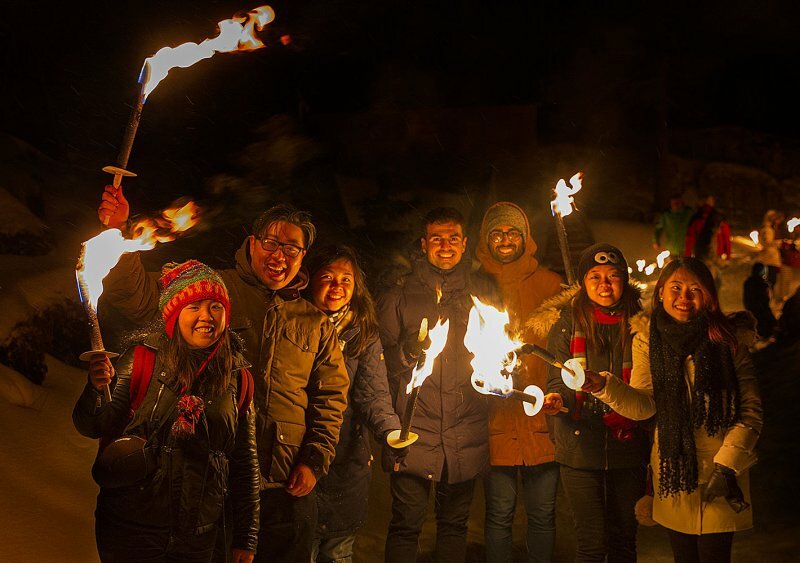 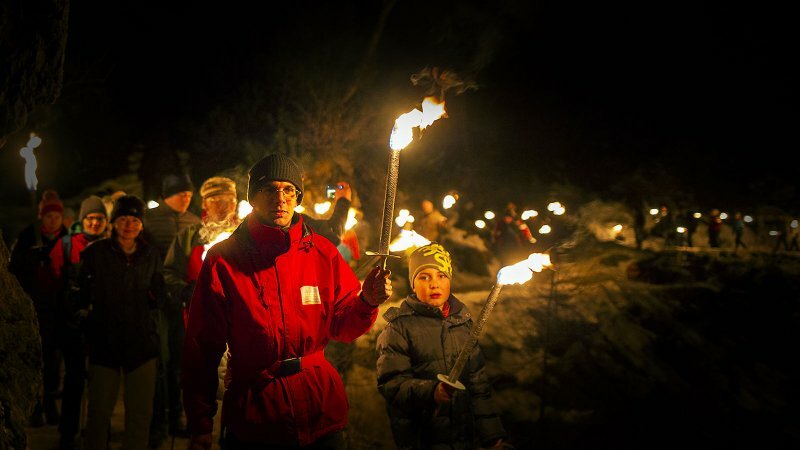 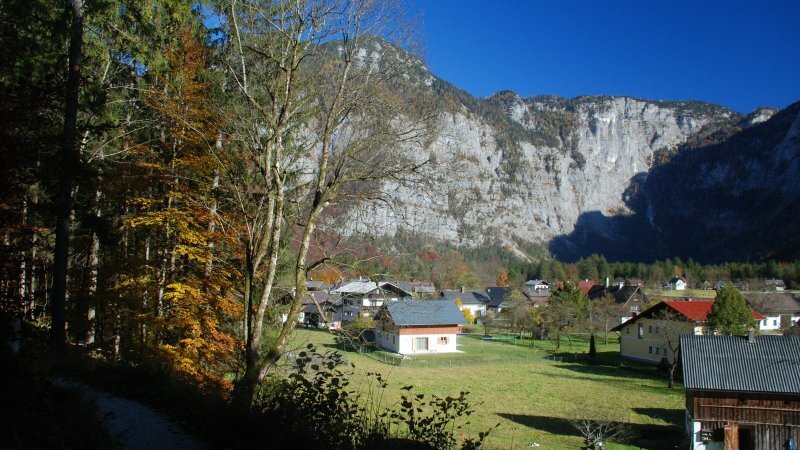 Holiday in Obertraun on Lake Hallstatt in Austria: Torch-lit hike and winter tour of the Mammoth Cave in Obertraun. 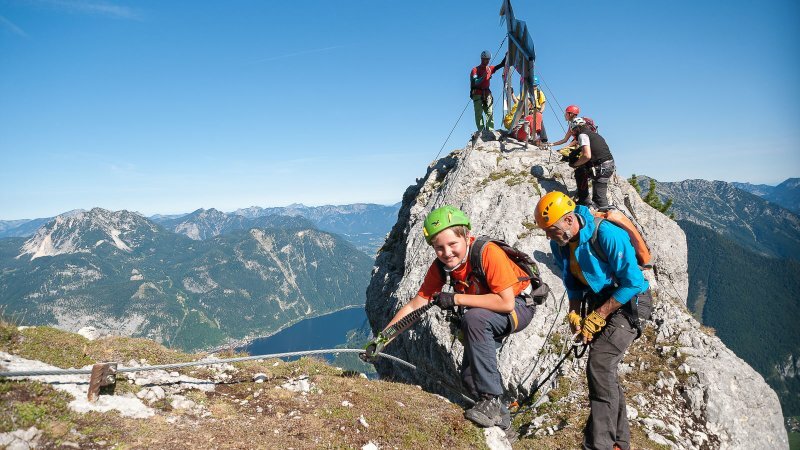 Dachstein Krippenstein Via Ferrata: Thrills and rushes of pure adrenaline out on the wire of the new ‘Dachstein Krippenstein Via Ferrata’! 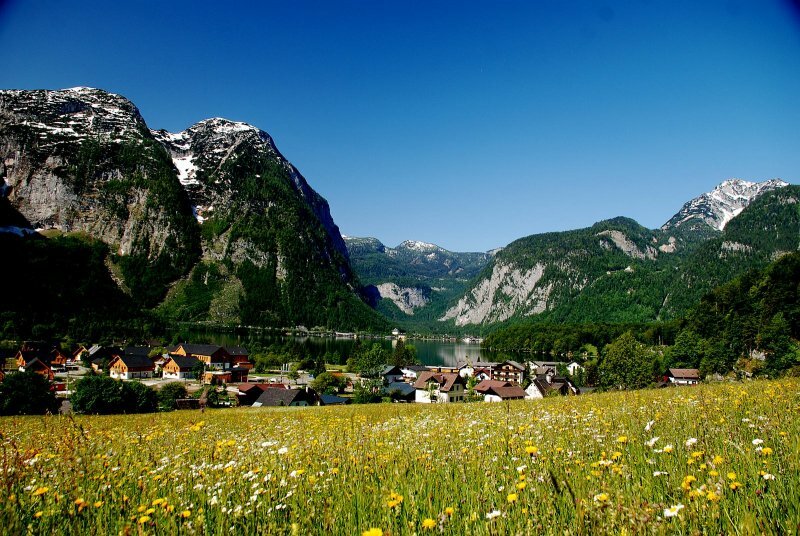 Holiday in Aurumn in Obertraun on Lake Hallstatt - © Kraft. 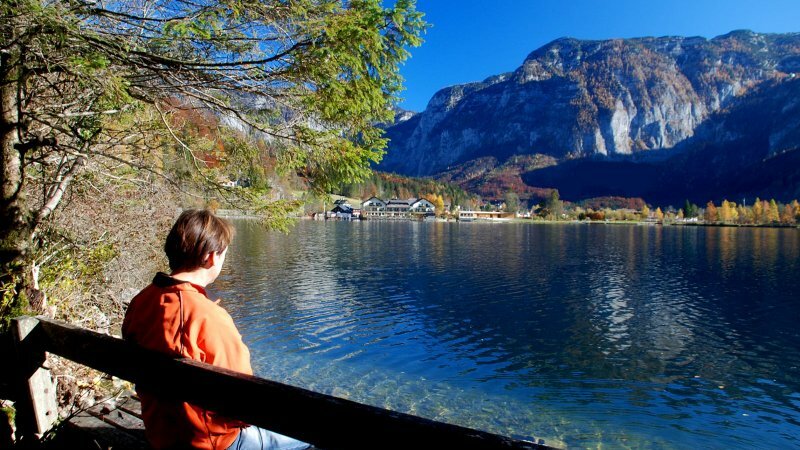 Holiday in the UNESCO World Heritage Region of Hallstatt Dachstein Salzkammergut: Enjoy the summer time in Obertraun at Lake Hallstatt. 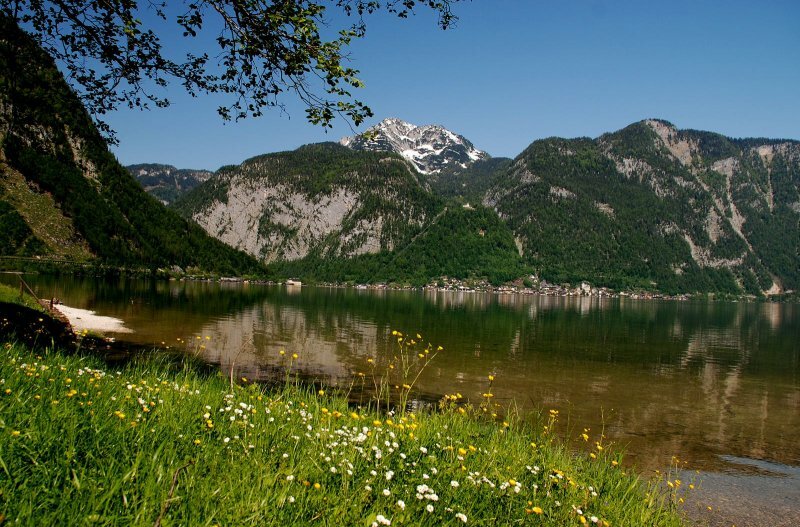 Discover Obertraun at Lake Hallsattt - © Kraft. 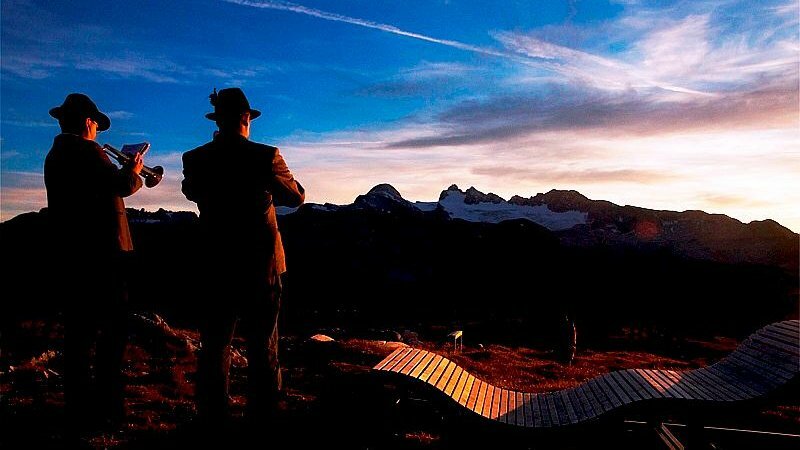 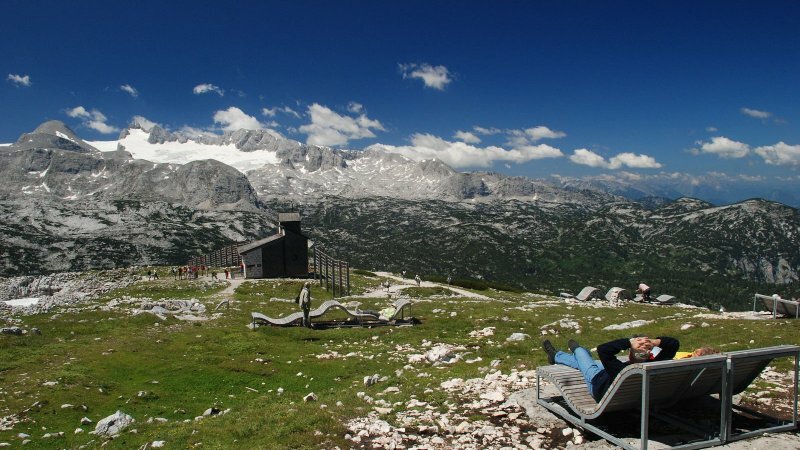 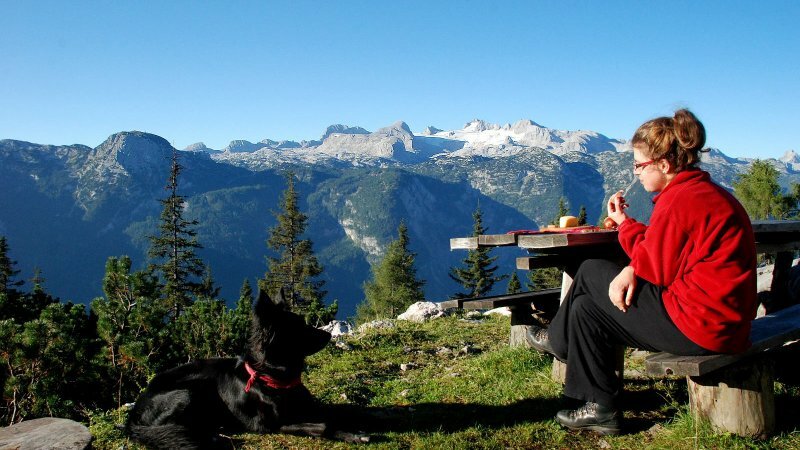 World Natural Heritage viewing platform at Mount Krippenstein in Obertraun: The Welterbespirale is certainly exciting – in addition to the fantastic views from the spectacular aluminium ‘ship’, you will also find comfortable relaxing recliners here. 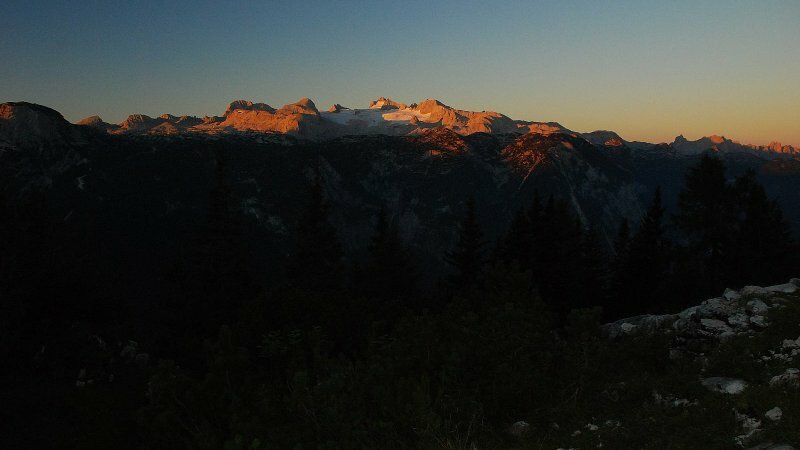 Sunset in Obertraun: Discover Mount Krippenstein in the World Heritage region Hallstatt / Dachstein Salzkammergut - © ARGE Wanderherbst. 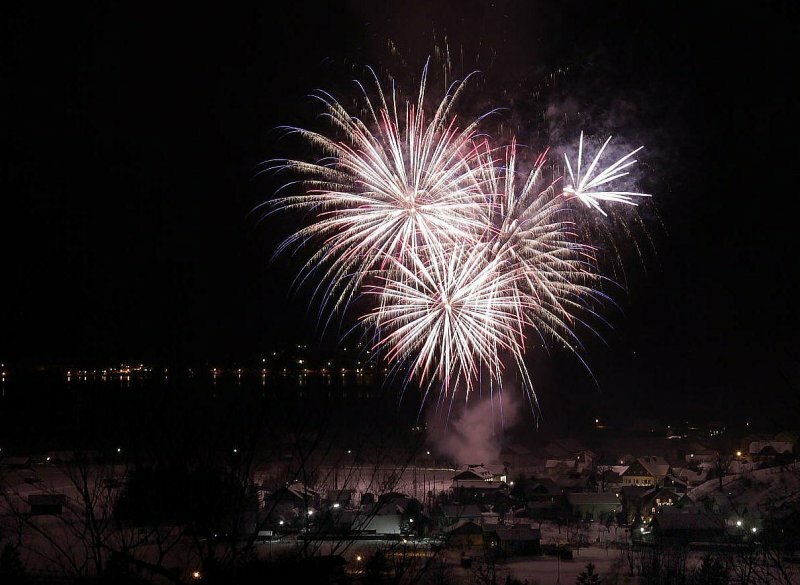 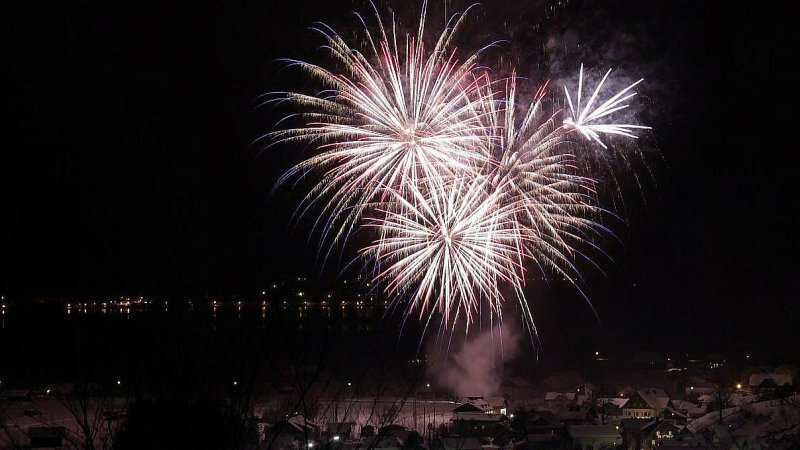 New Year’s Eve in Obertraun at Lake Hallstatt - © gdang. 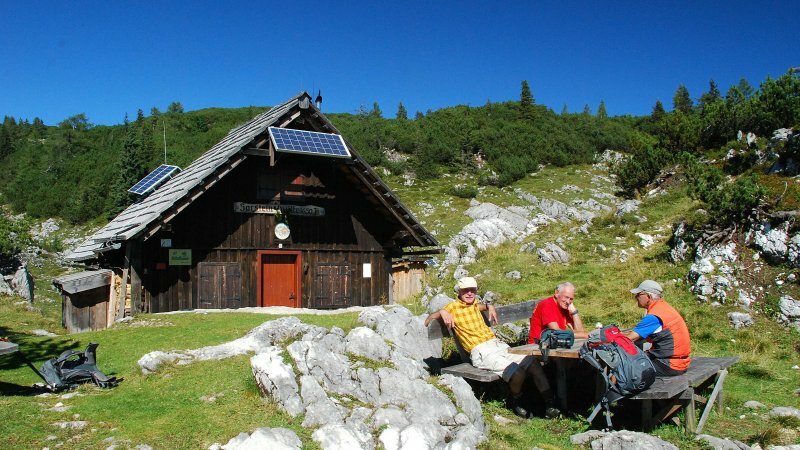 Hiking around Lake Hallstatt in the World Heritage region in Austria: Sarstein hut in Obertraun - © Kraft. 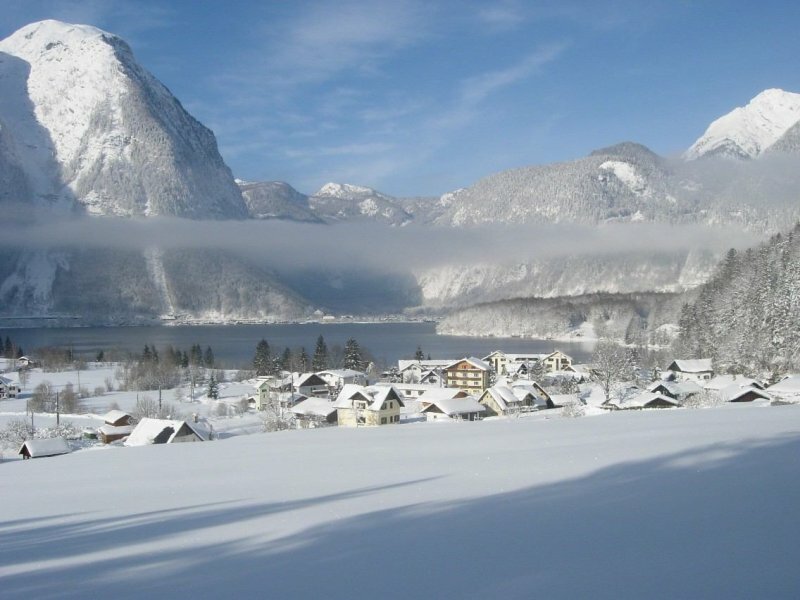 Winter in Austria: Impressions from Obertraun at Lake Hallstatt - © Perstl. 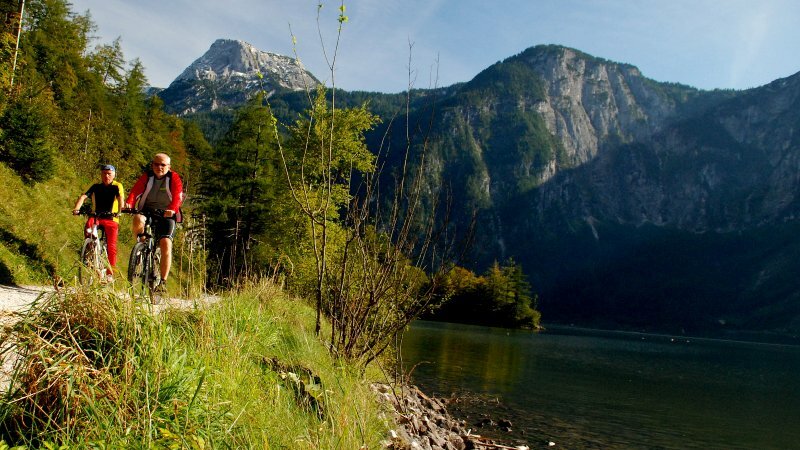 Hiking in Austria: Impressions from the East bank trail anlong Lake Hallstatt - © Kraft. 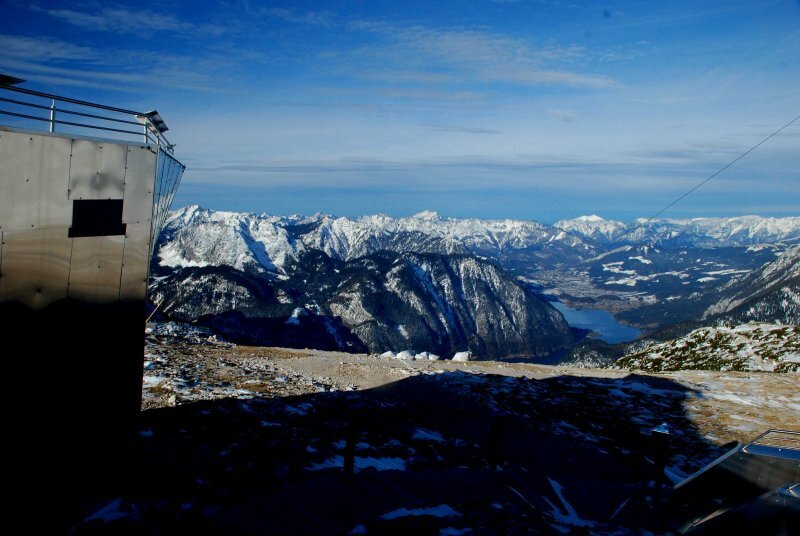 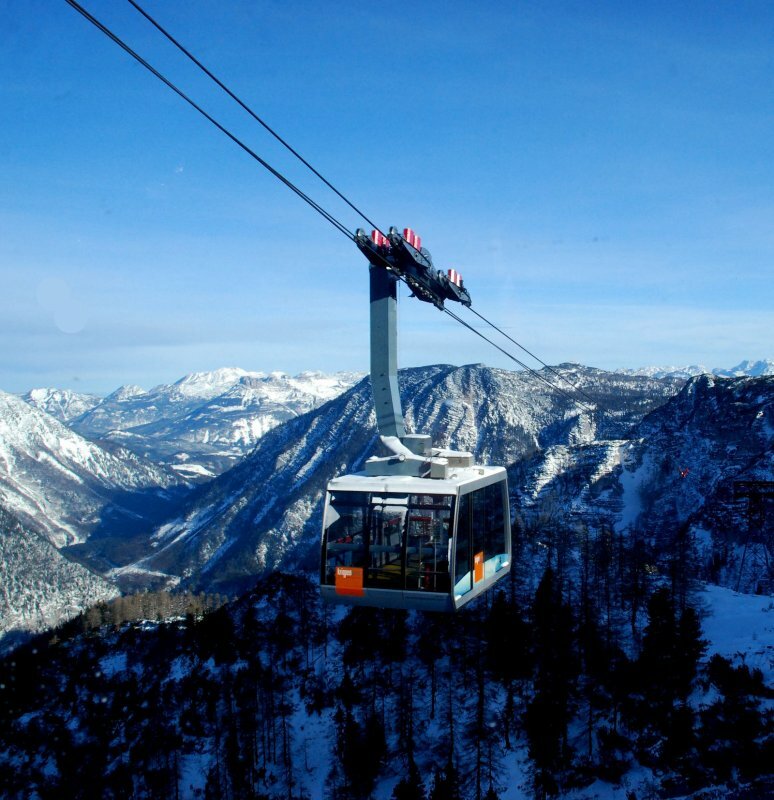 Winter sports in the mountains of Austria: Discover the FreesportsArena Krippenstein in Obertraun at Lake Hallstatt. 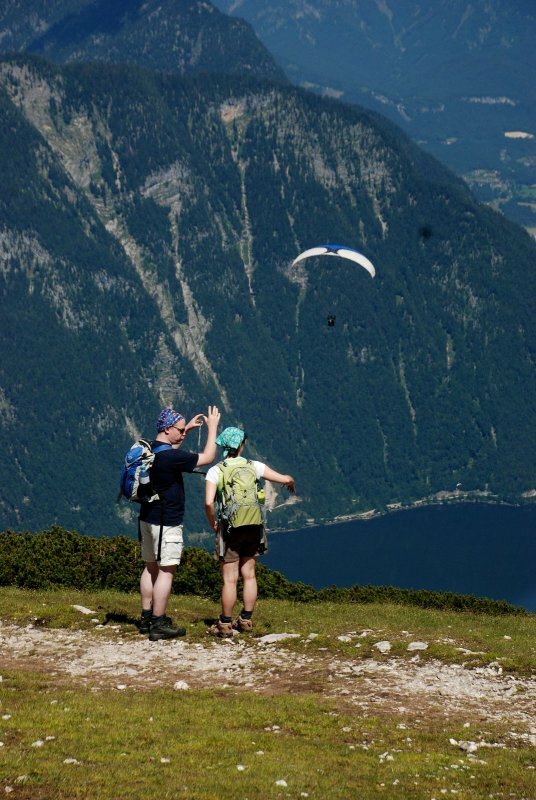 Mountain Adventures in Austria: Mount Krippenstein – Your hiking area at Lake Hallstatt - © Perstl. 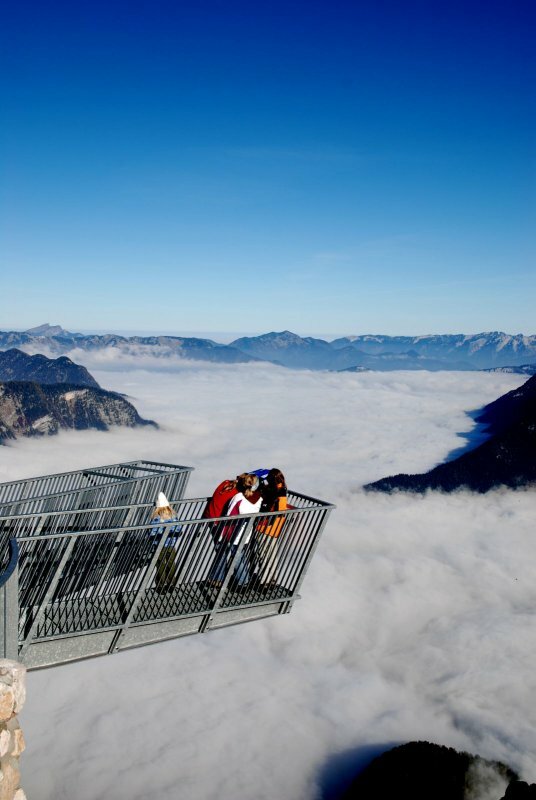 5fingers viewing platform in Obertraun at Lake Hallstatt - © Kraft. 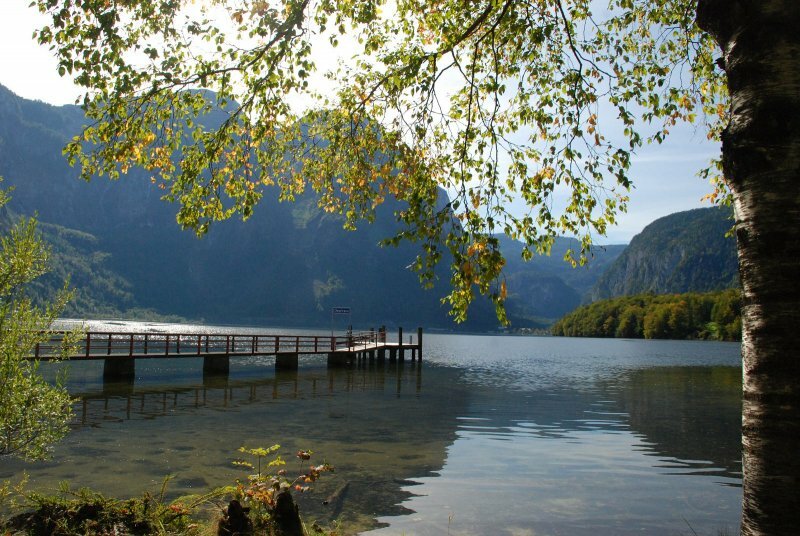 Impressions of the UNESCO World Heritage Site Hallstatt–Dachstein Salzkammergut Cultural Landscape Obertraun at Lake Hallstatt: Lake Koppenlake - © Kraft. 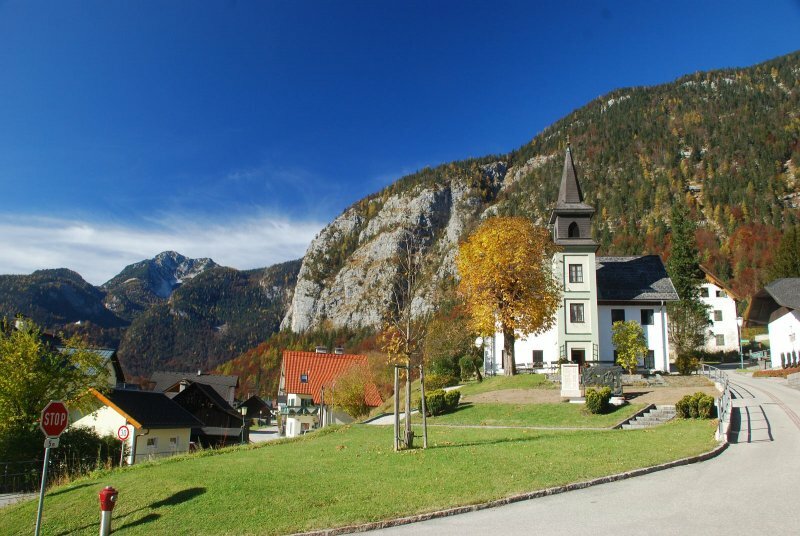 Discover Austria: The centre of Obertraun - © Kraft. 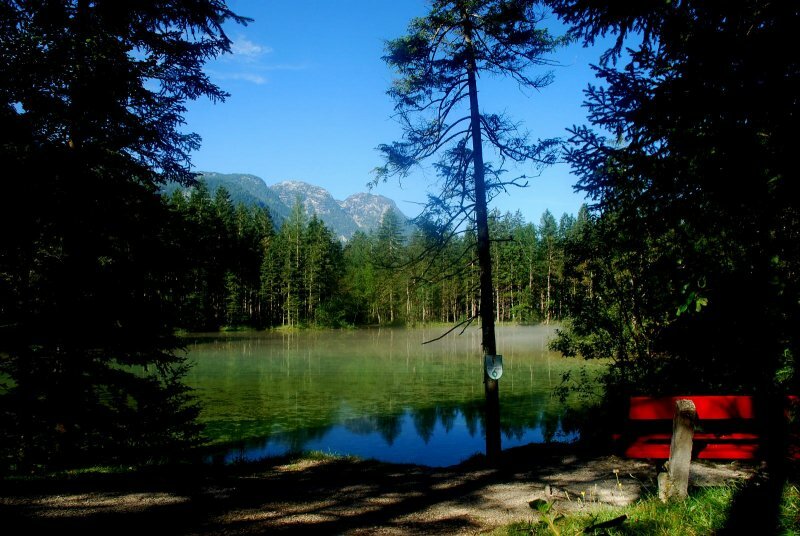 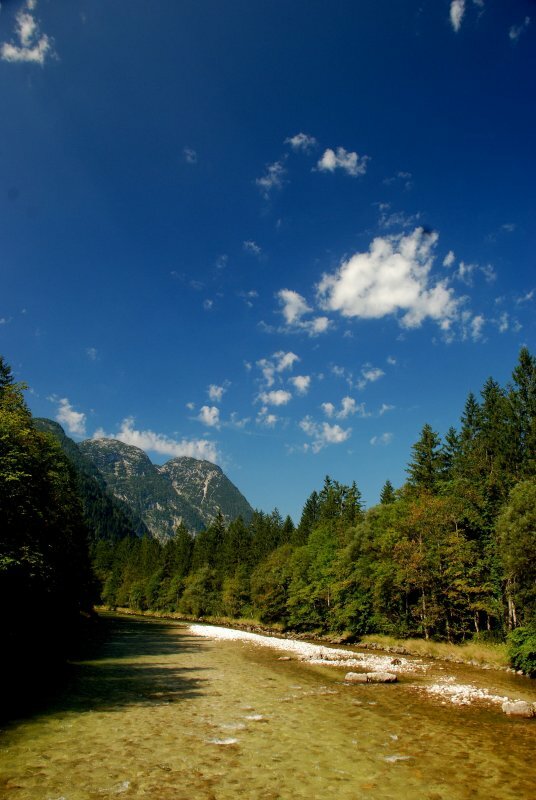 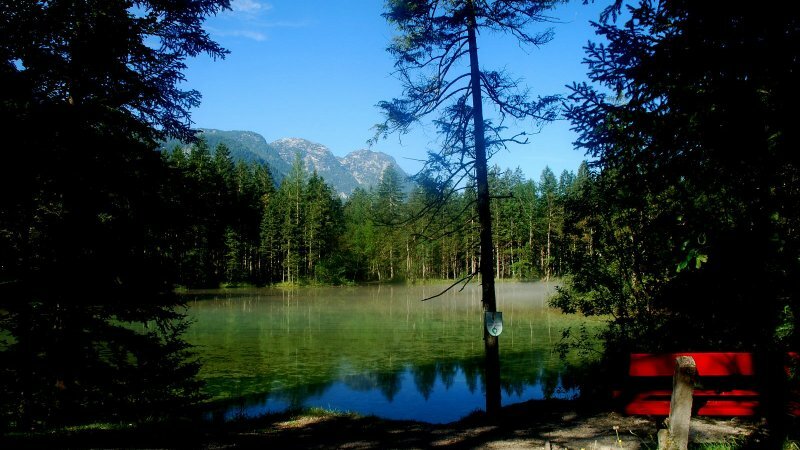 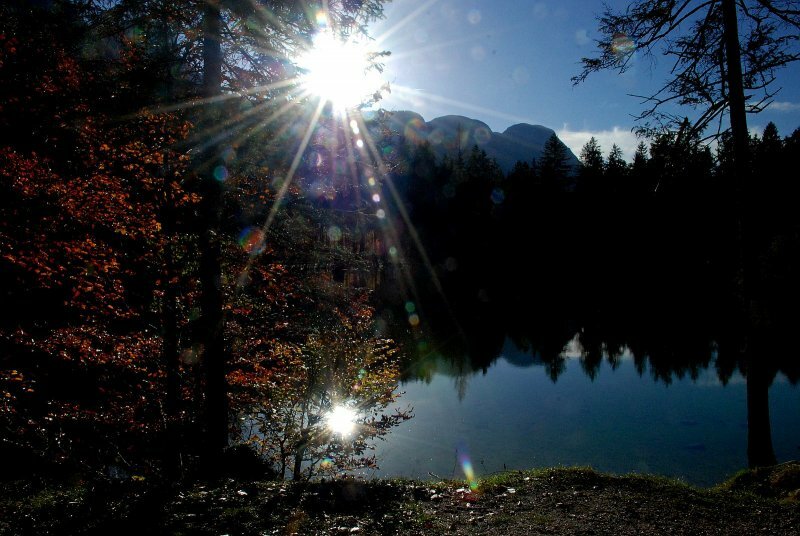 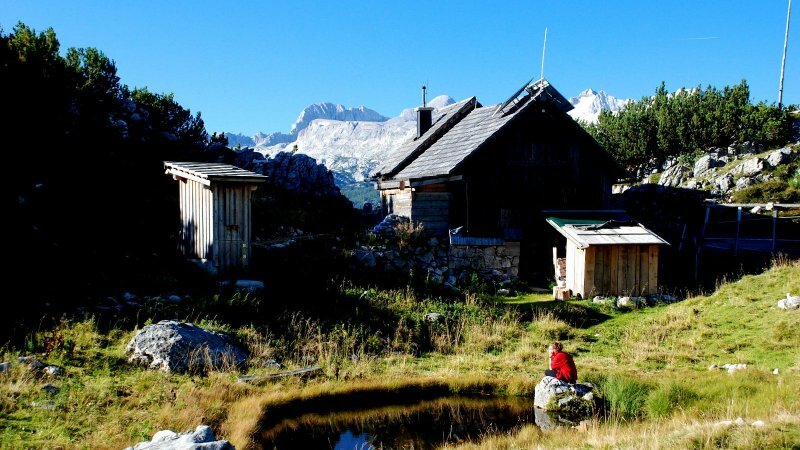 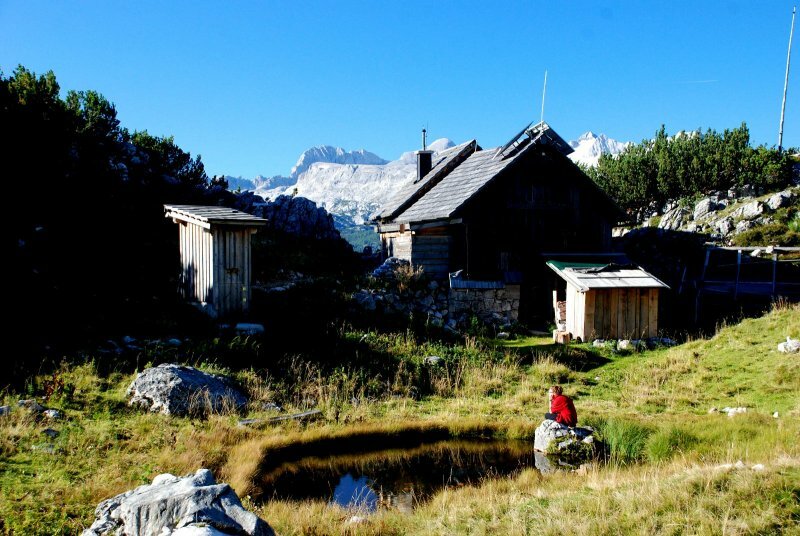 Hiking around Lake Hallsattt: Discover Obertraun. 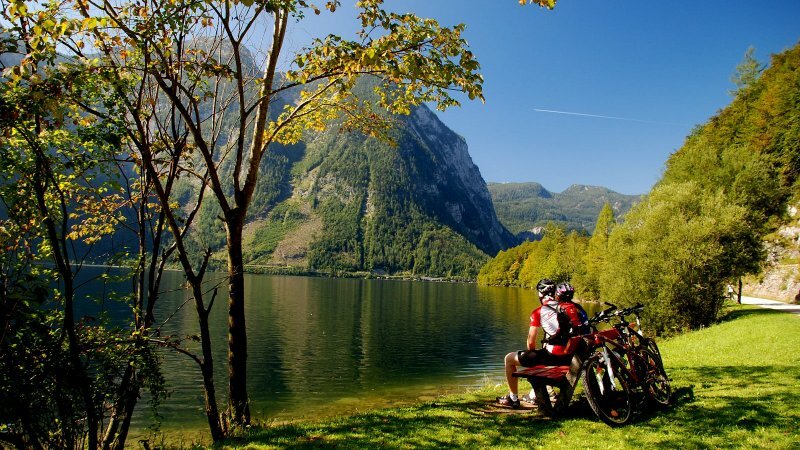 Cycling &amp; Mountain Biking in Austria: Impressions from Obertraun at Lake Hallstatt - © Torsten Kraft. 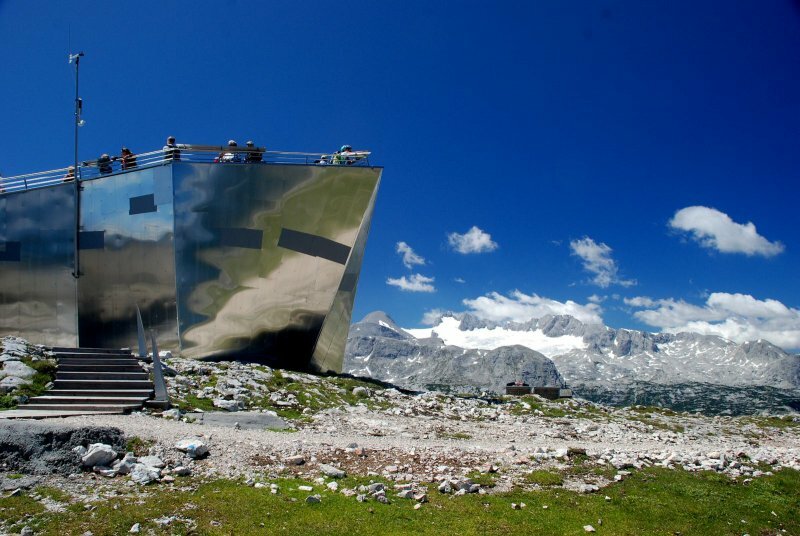 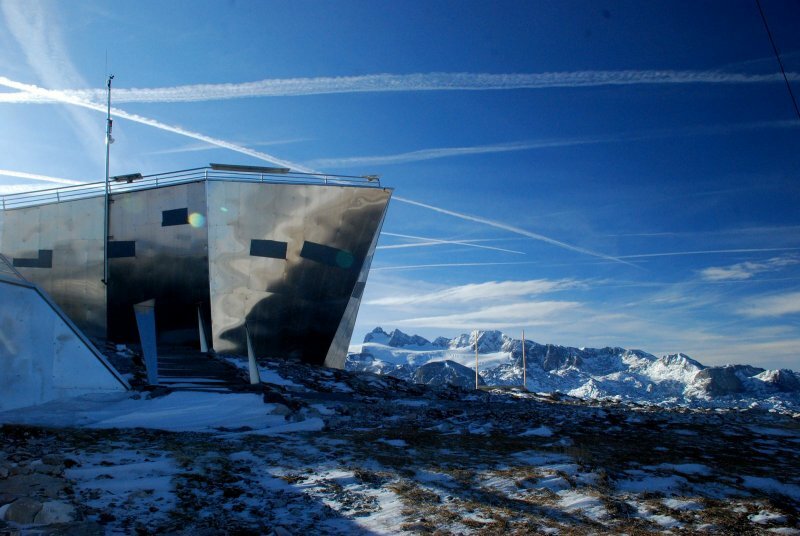 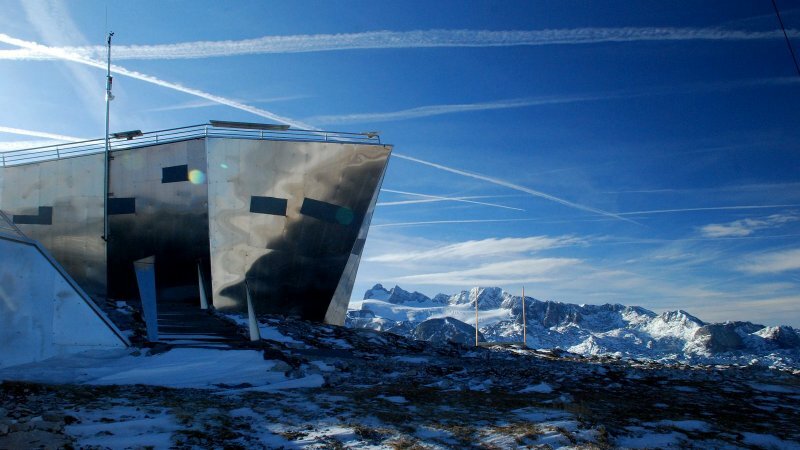 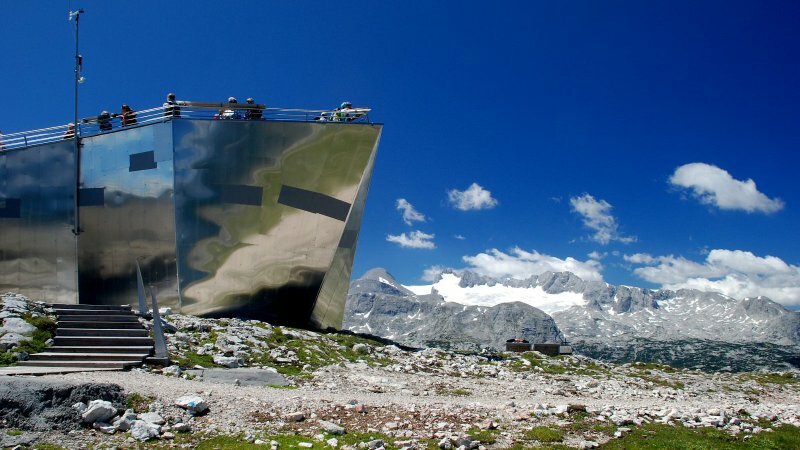 World Natural Heritage viewing platform at Mount Krippenstein in Obertraun: - © Kraft. 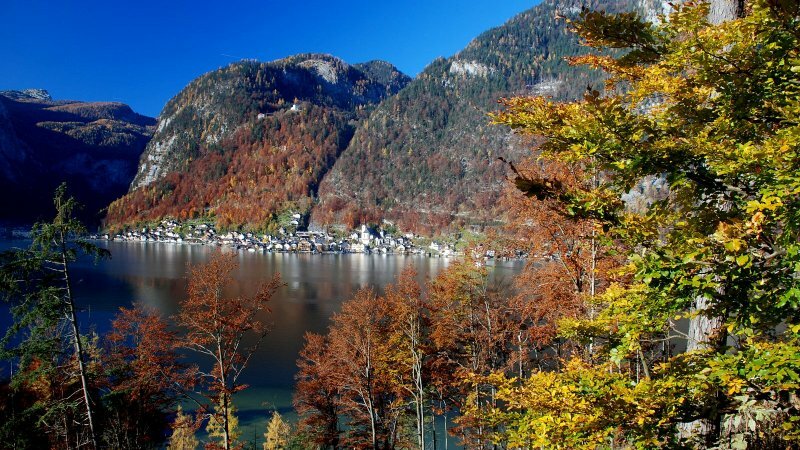 Fall in Austria : Indian Summer in Obertraun at Lake Hallstatt - Koppenwinkelalm - © Torsten Kraft. 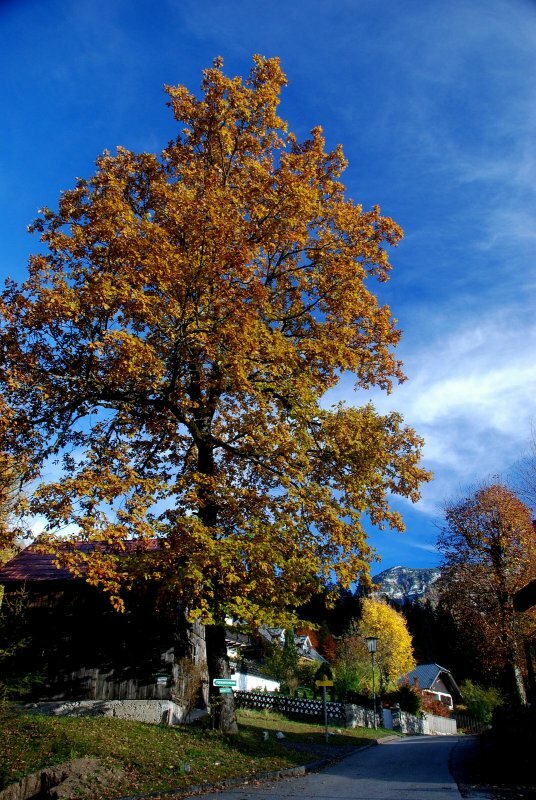 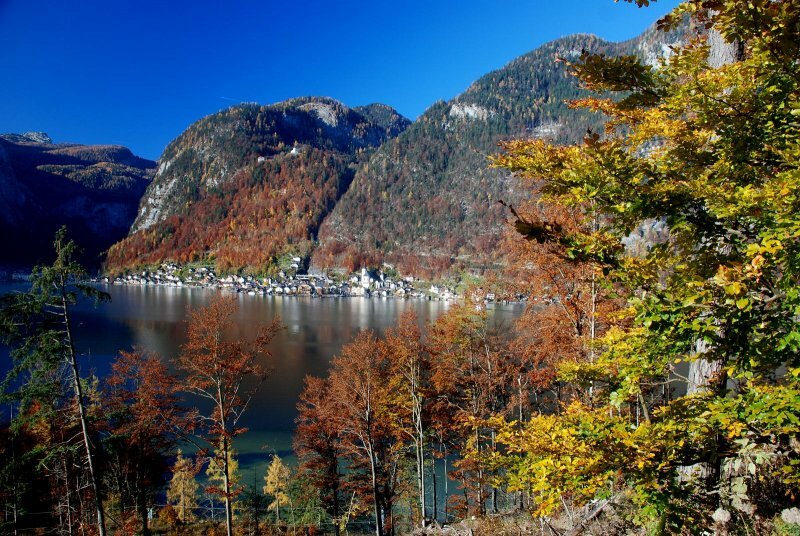 Indian Summer in Austria: Impressions from Obertraun at Lake Hallstatt - © Torsten Kraft. 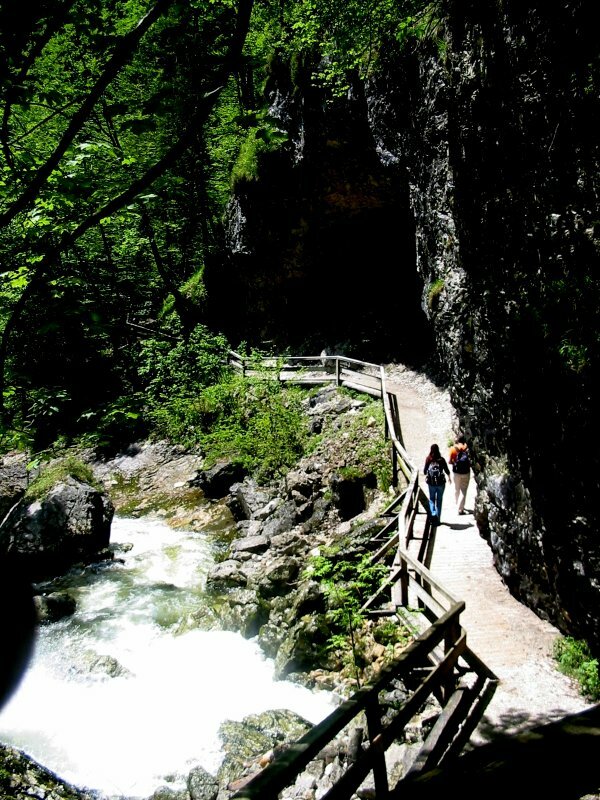 Hiking vacation in Austria - East bank trail between Bad Goisern at Lake Hallstatt and Obertraun - © Torsten Kraft. 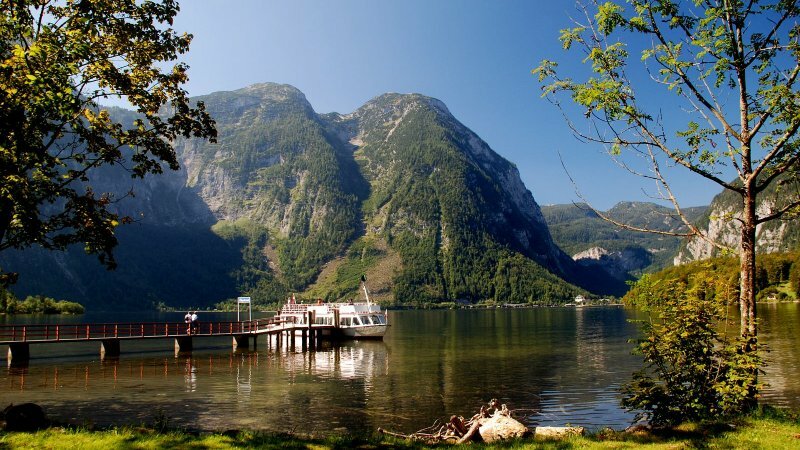 Mountain Adventures in Austria: Mount Krippenstein at Lake Hallstatt - © Kraft. 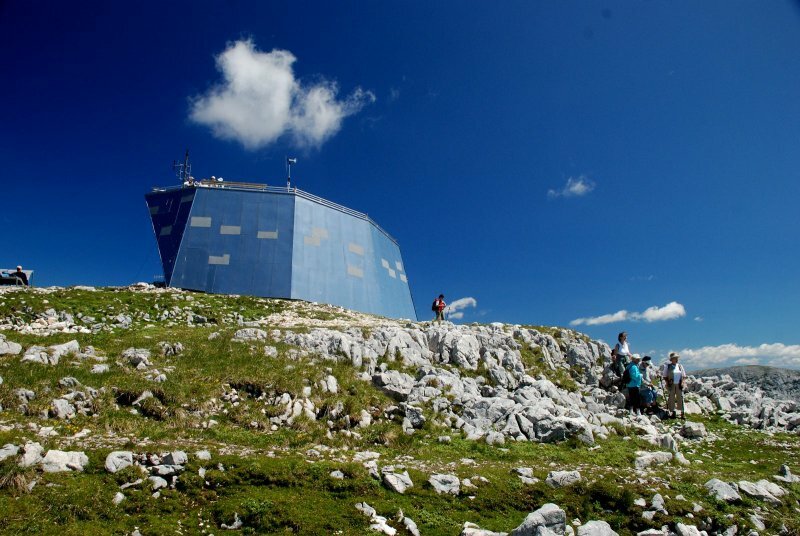 Mount Krippenstein in Obertraun - © Kraft. 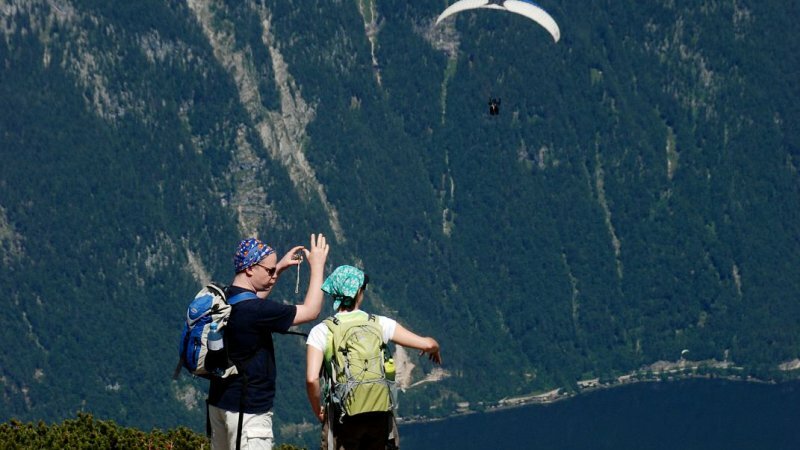 Mountain Adventures in Austria: Mount Krippenstein – Your hiking area at Lake Hallstatt - © Kraft. 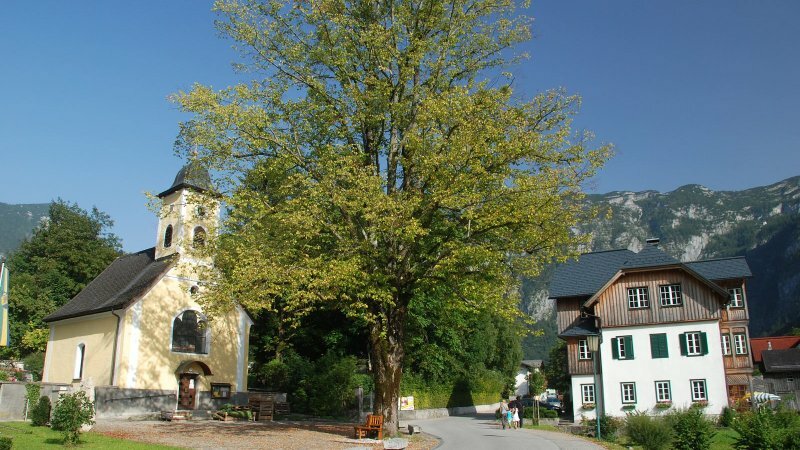 Vacationing in Obertraun: There’s a lot to explore around Lake Hallstatt - © Kraft. 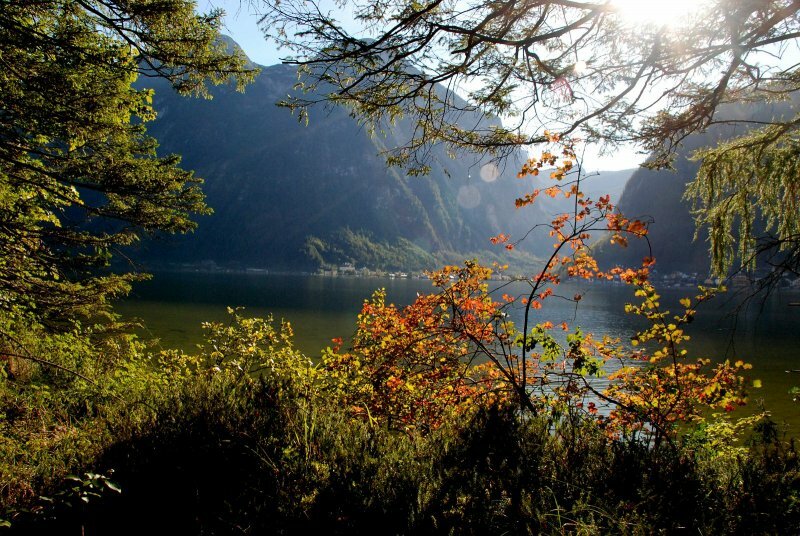 Impressions from Lake Hallstatt - © Kraft. 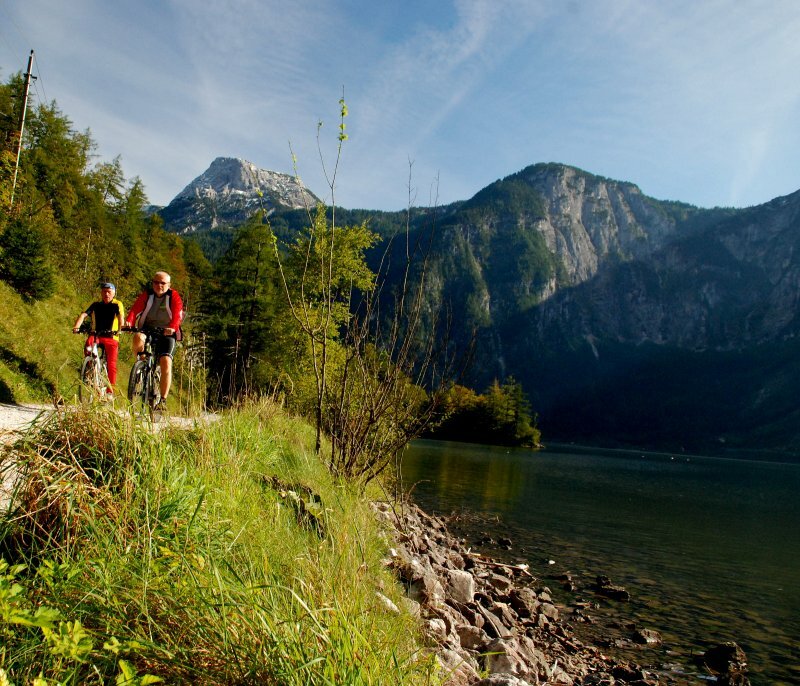 Discover the lanfscape around Lake Hallstatt: Impressions from the East bank trail anlong Lake Hallstatt - © Kraft. 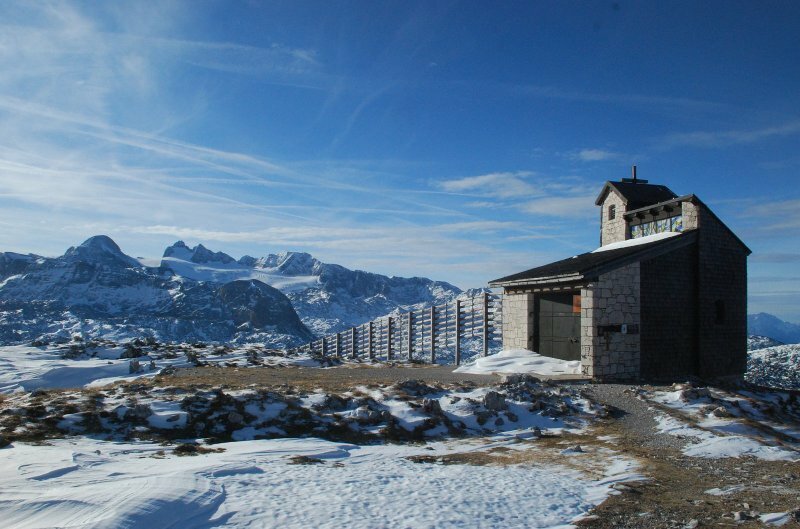 Mount Dachstein - © Kraft. 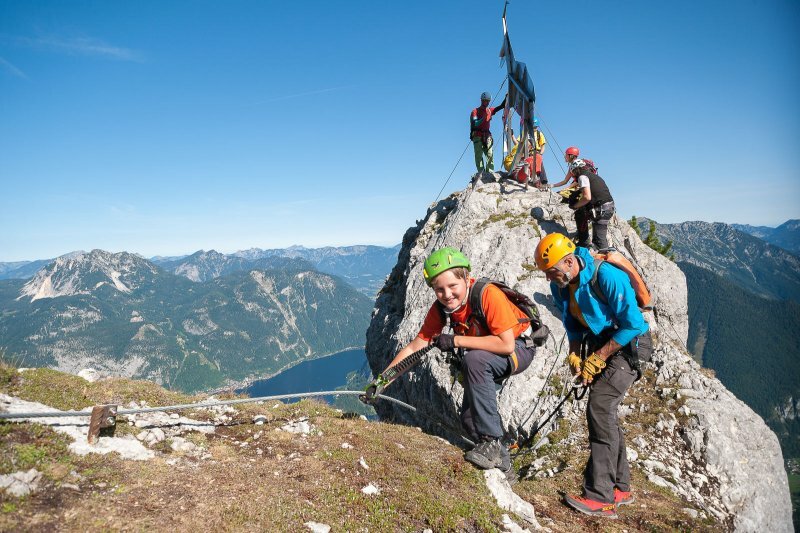 Mount Krippenstein – The hiking area in Obertraun at Lake Hallstatt - © Kraft. 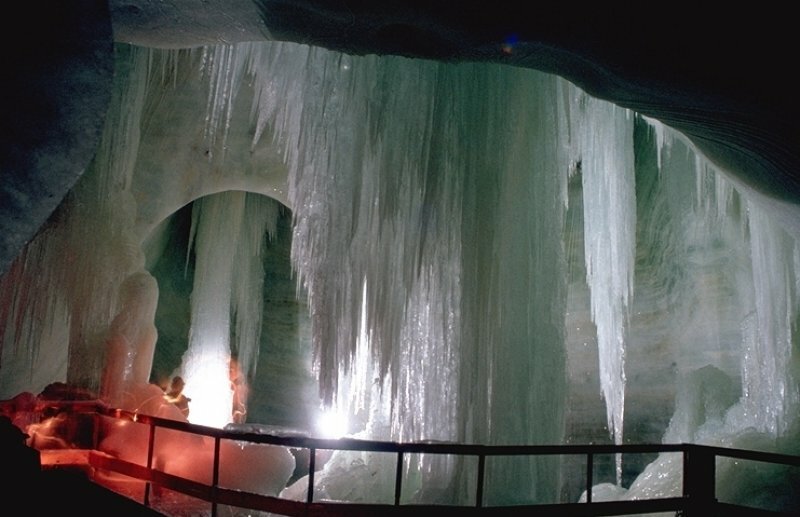 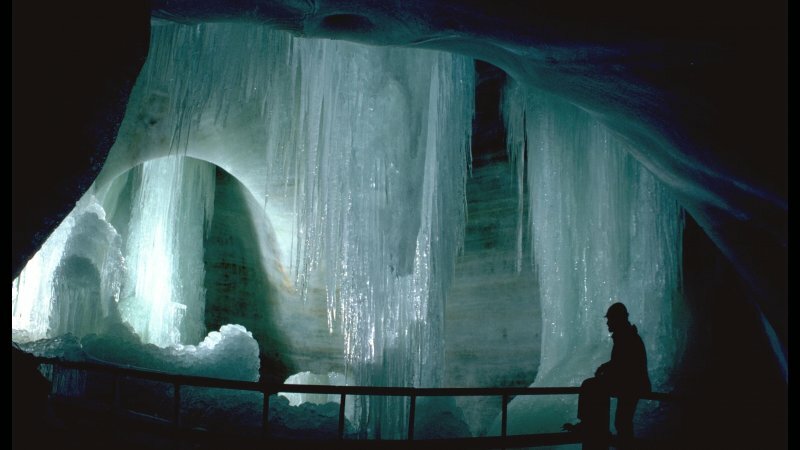 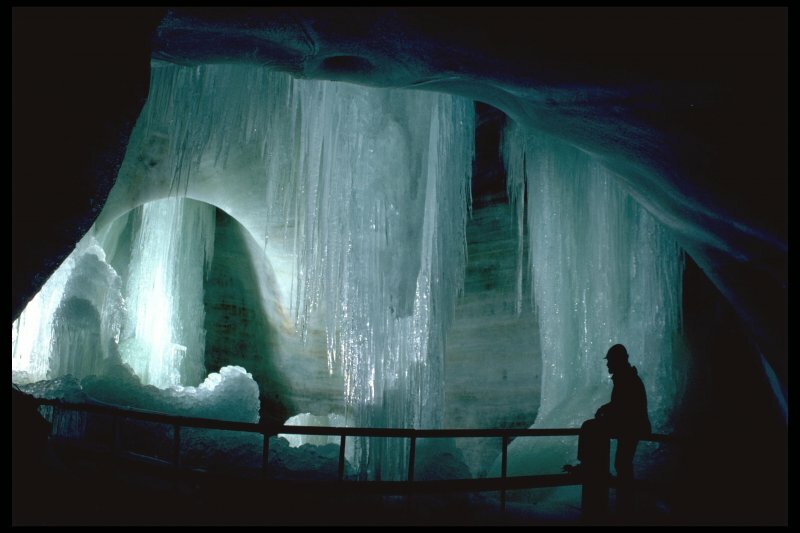 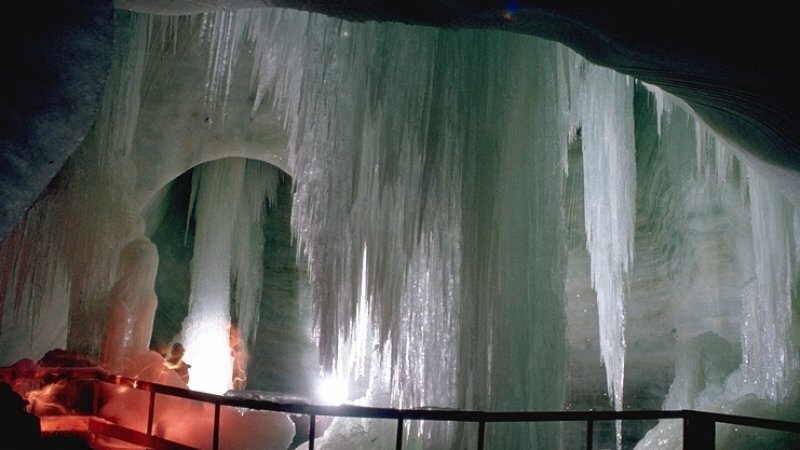 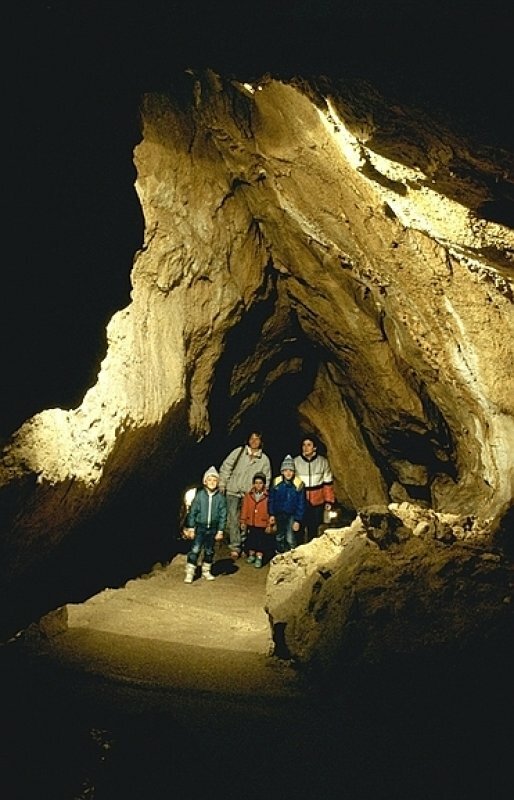 Koppenbrüller Cave - © Schöpf. 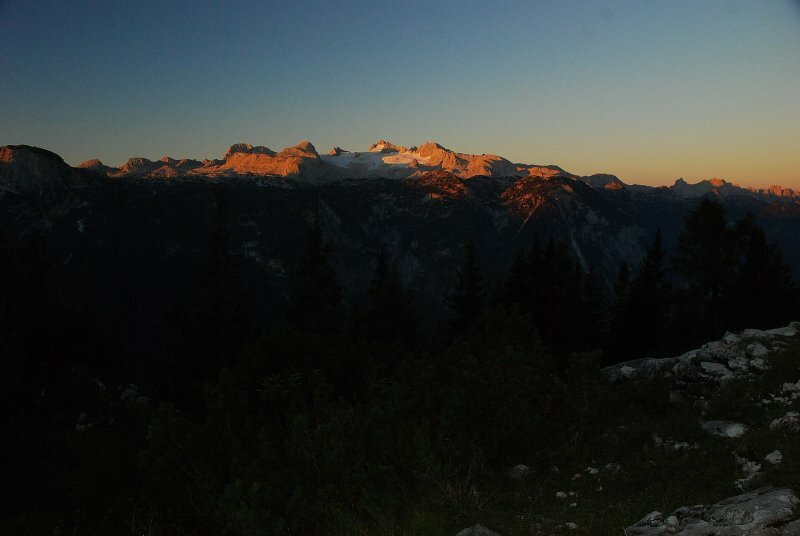 Mount Krippenstein in Obertraun - © Schöpf. 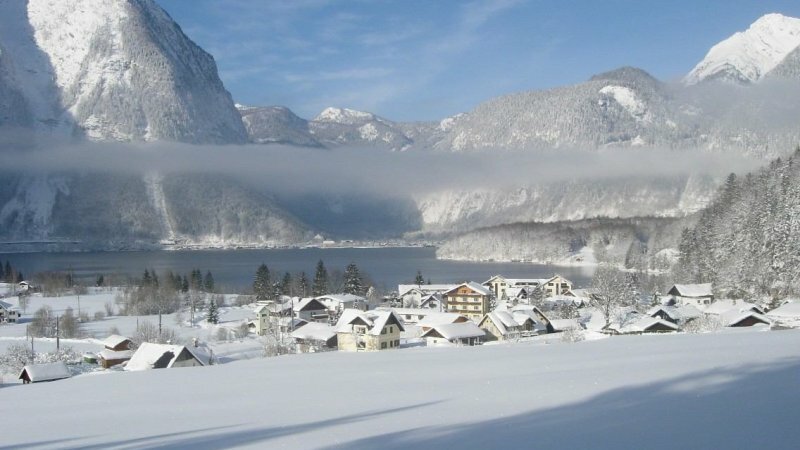 Winter holiday in the World Heritage region of Hallstatt Dachstein Salzkammergut - © OÖ.Tourismus/Erber. 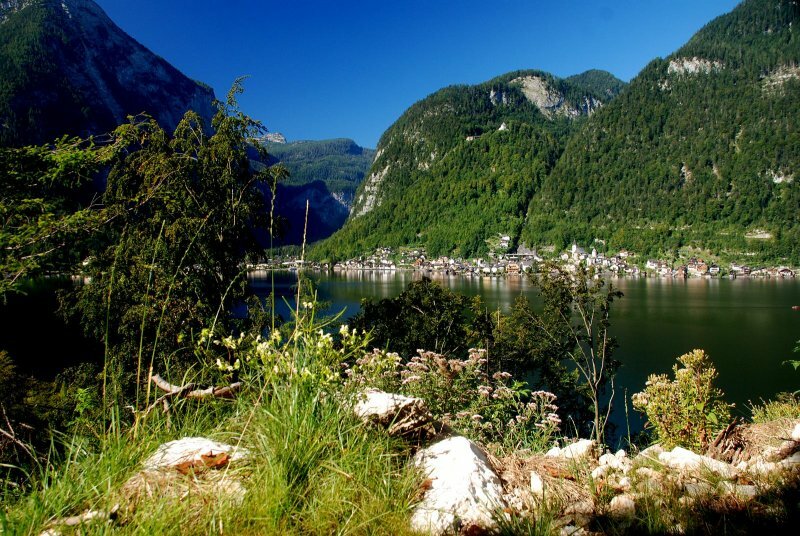 Holiday in Austria: Impressions from the Koppenwanderweg trail in Obertraun at Lake Hallstatt - © Kraft. 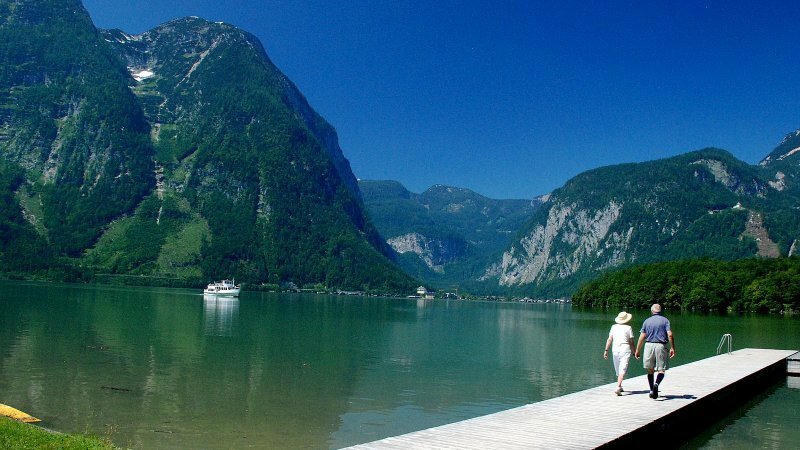 Holiday in Austria: The Koppentraun river in Obertraun at Lake Hallstatt - © Kraft. 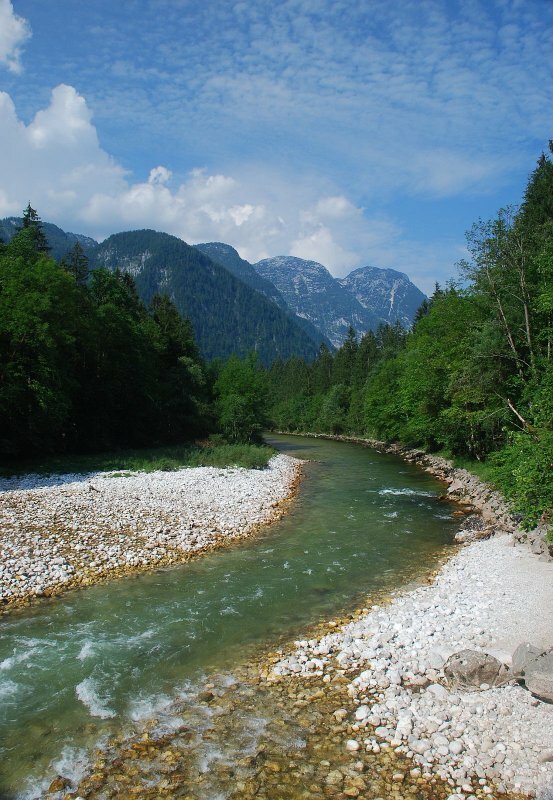 The Koppentraun river in Obertraun at Lake Hallstatt - © Kraft. 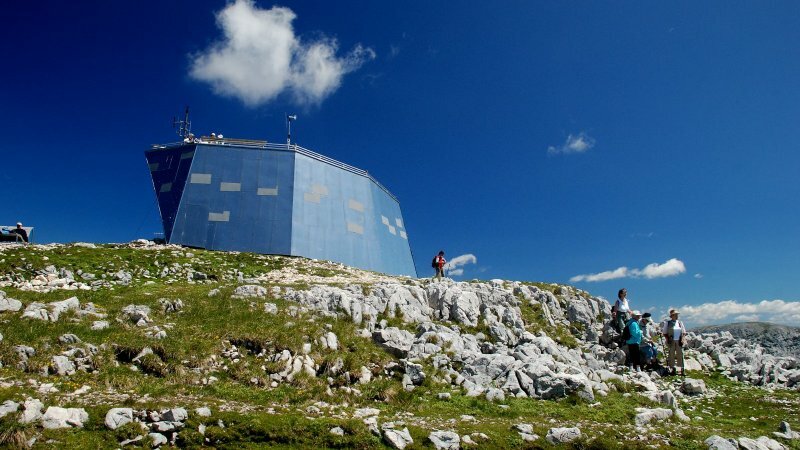 Mountain Adventures in Austria: Mount Krippenstein in Obertraun - © Schöpf. 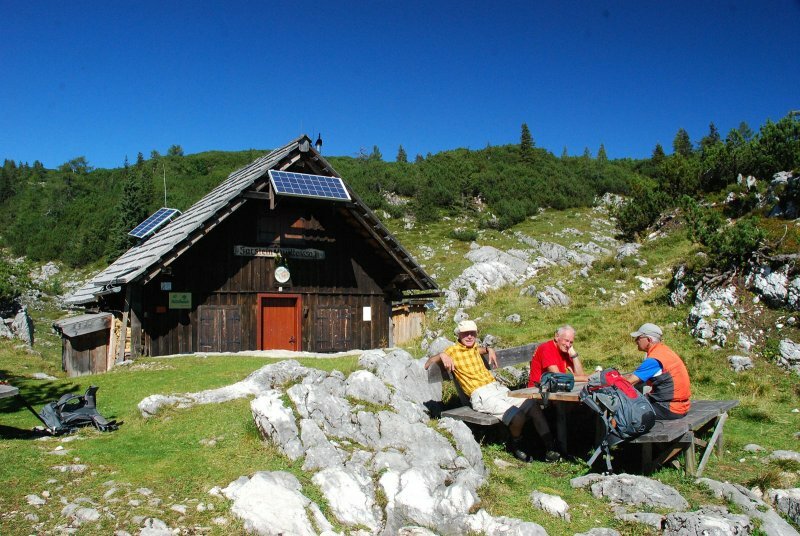 Sarstein hut in Obertraun - © Kraft. 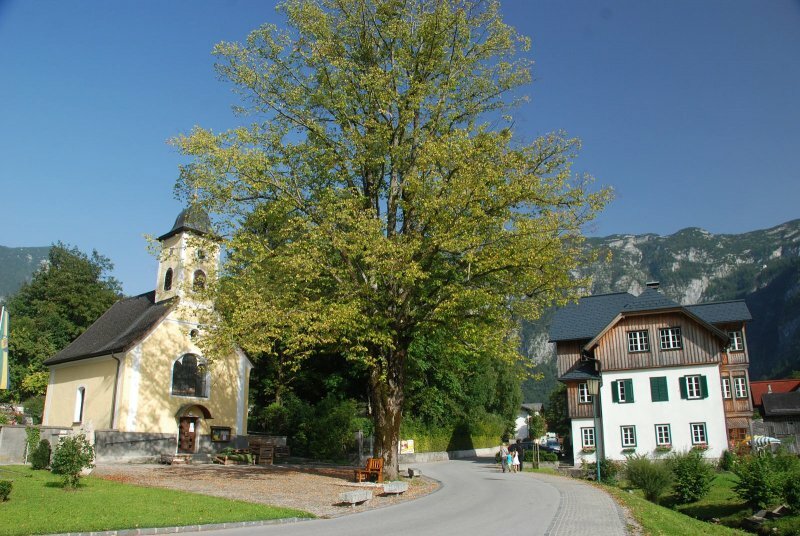 Obertraun at Lake Hallstatt - © Torsten Kraft. 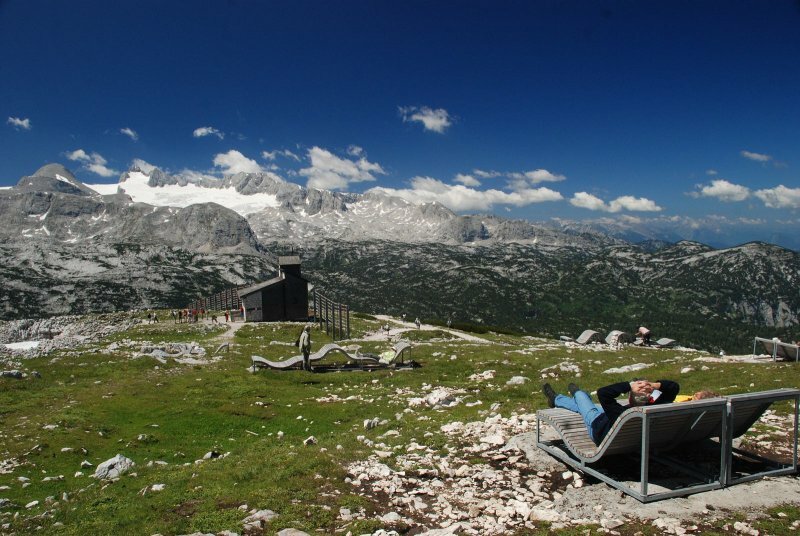 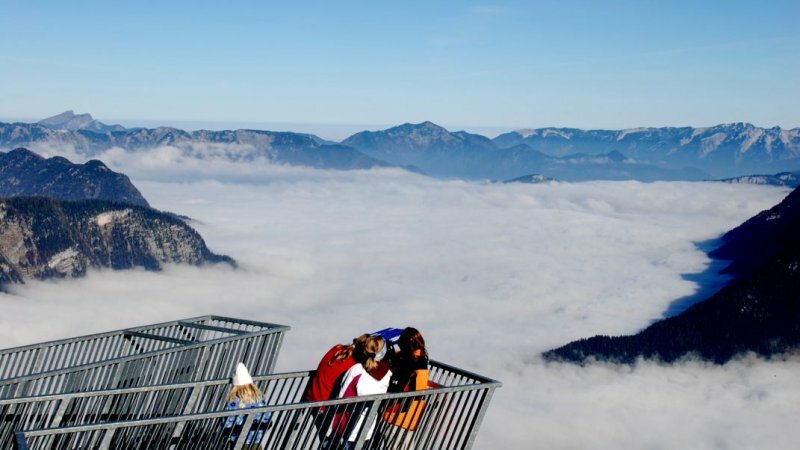 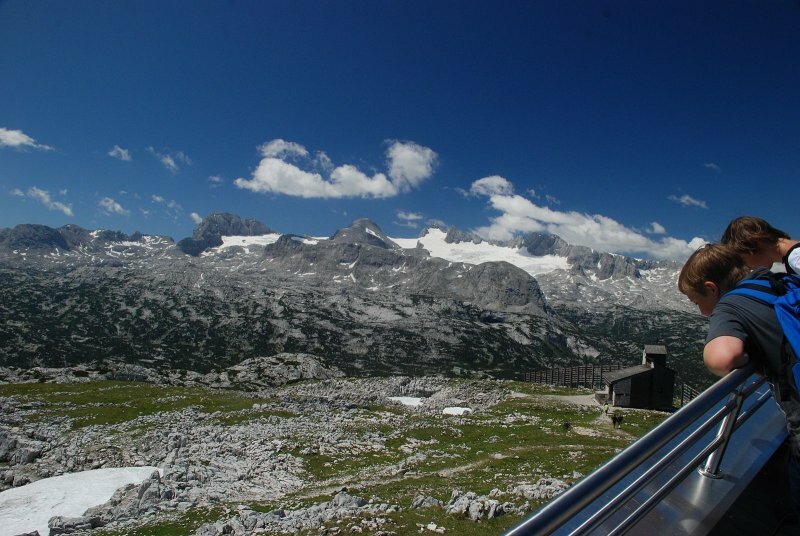 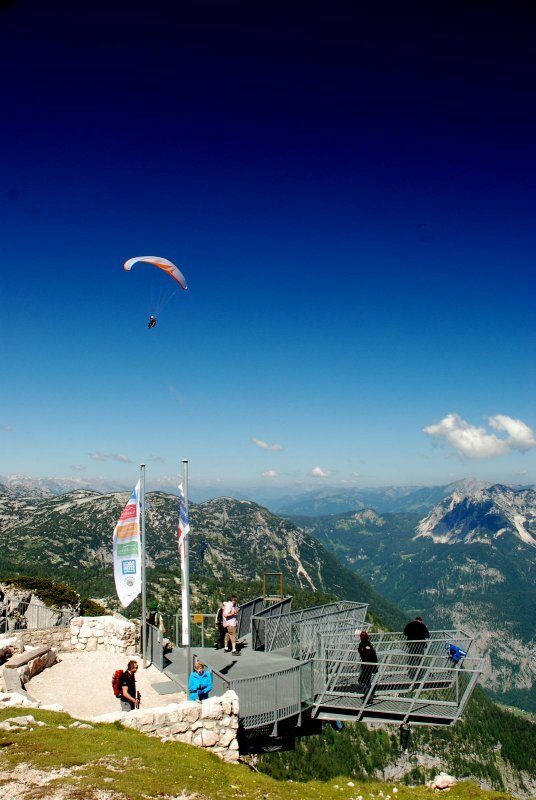 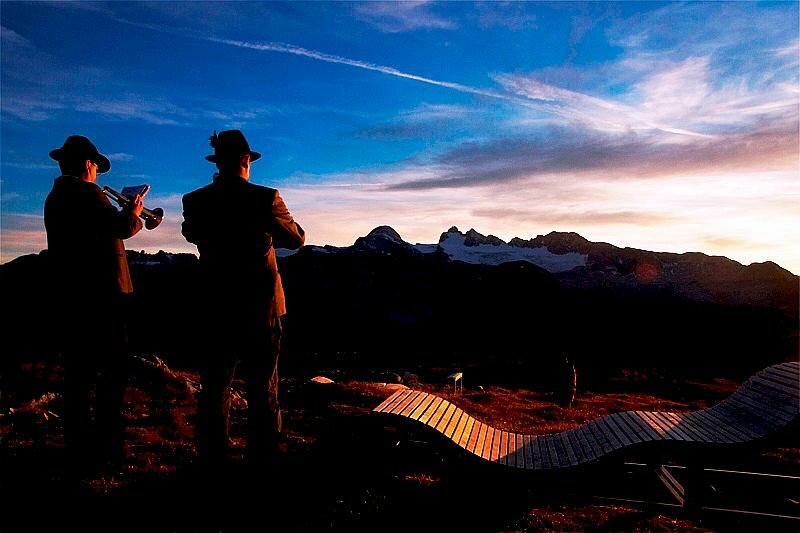 World Natural Heritage viewing platform at Mount Krippenstein in Obertraun: Ideal for enjoyment and day-dreaming!. 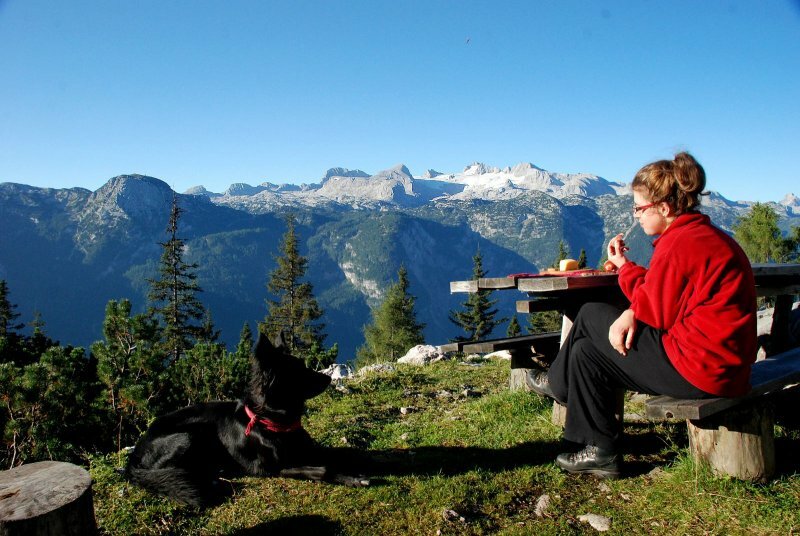 Hiking vacation in Austria – Höhenweg trail in Obertraun at Lake Hallstatt - © Kraft. 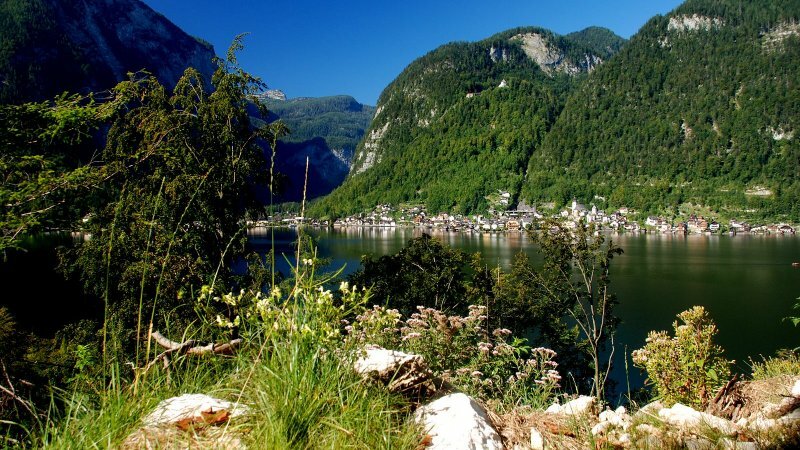 Vacationing in the Salzkammergut region: There’s a lot to explore in Obertraun at Lake Hallstatt - © Kraft. 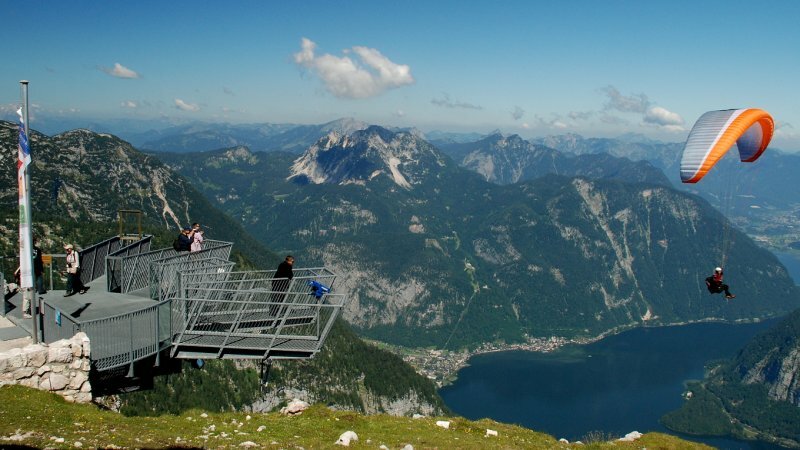 Mountain Adventures in Austria: World Natural Heritage viewing platform at Mount Krippenstein in Obertraun at Lake Hallstatt - © Kraft. 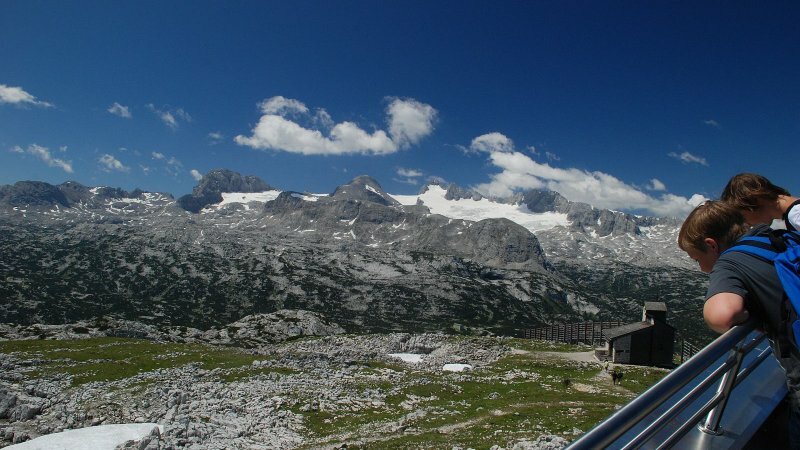 Holiday in Austria: Impressions from the Dachstein Salzkammergut region - Quelle: Perstl. 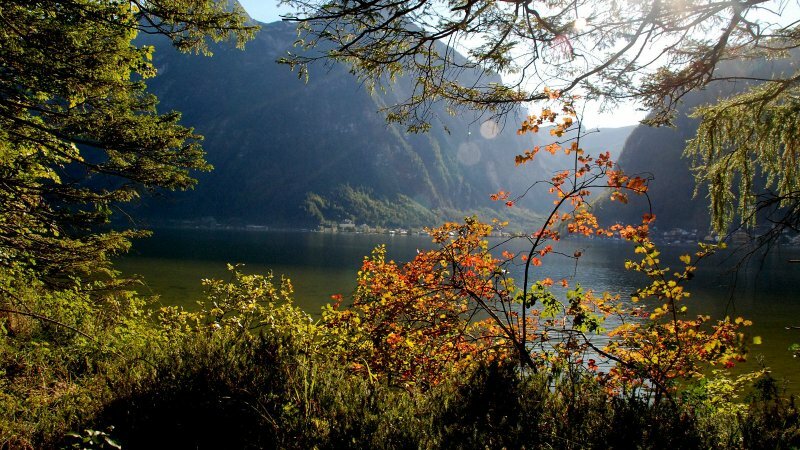 The East bank trail – Hiking along Lake Hallstatt in Austria - © Kraft. 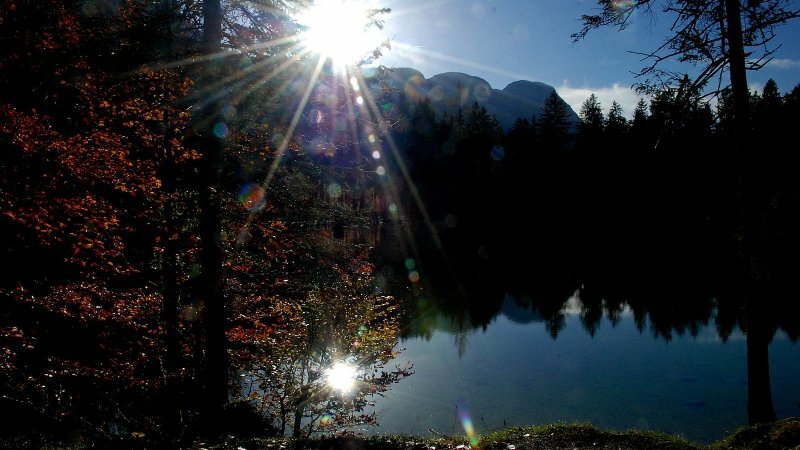 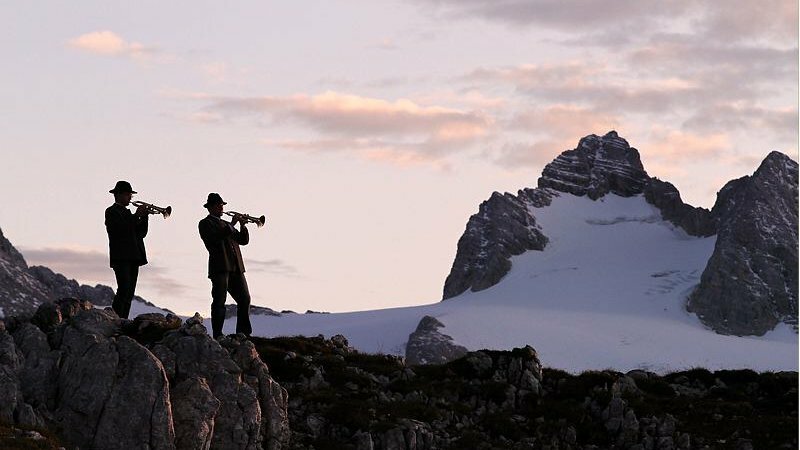 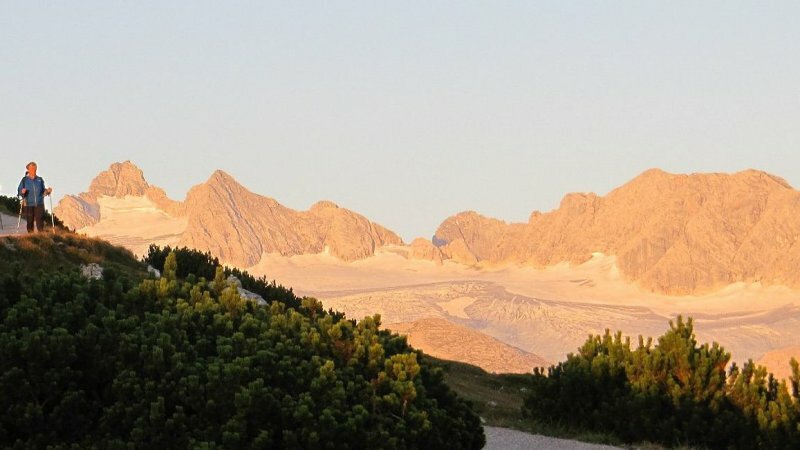 Sunset in Obertraun: Discover Mount Krippenstein in the World Heritage region Hallstatt / Dachstein Salzkammergut - © Kraft. 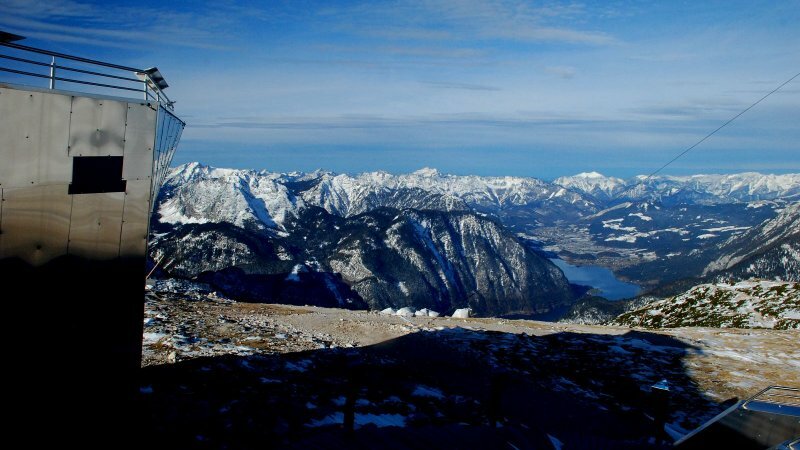 Winter sports in the mountains: Discover the FreesportsArena Krippenstein in Obertraun at Lake Hallstatt. 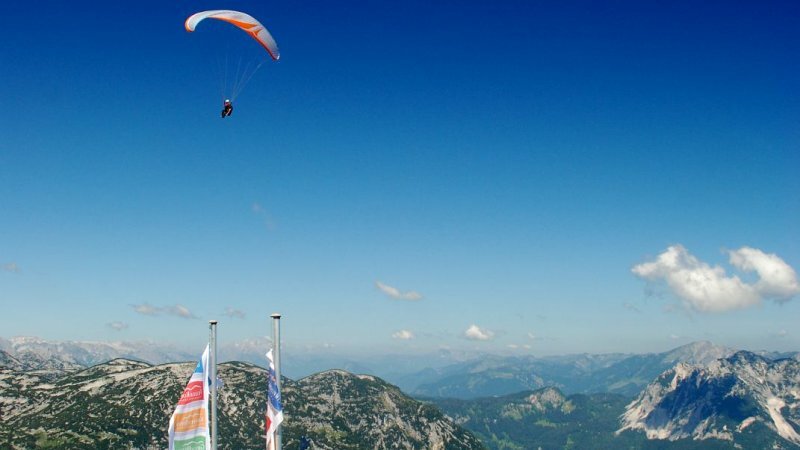 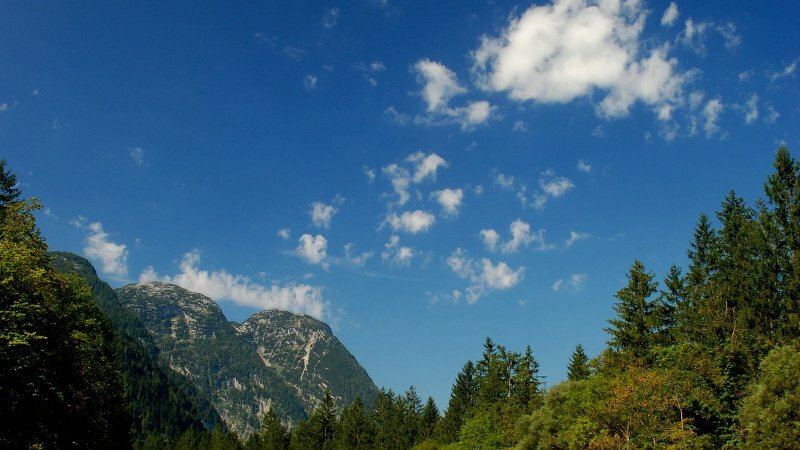 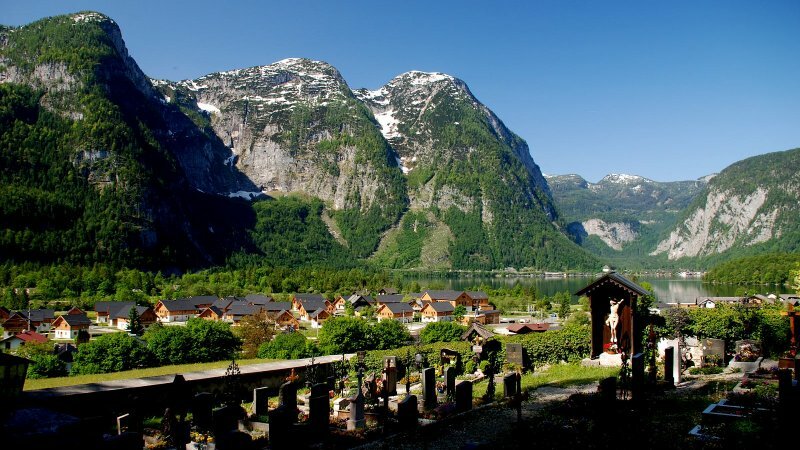 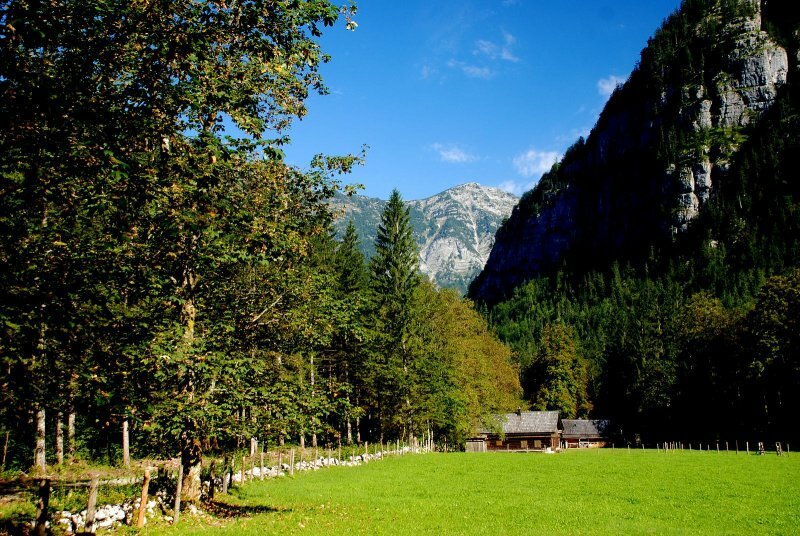 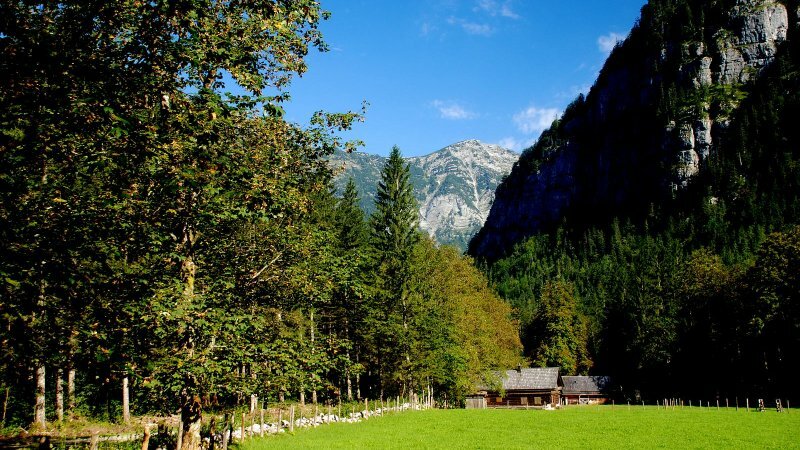 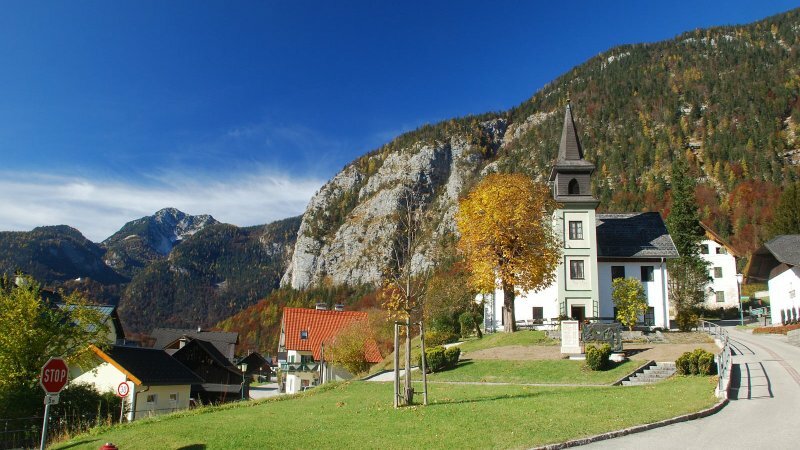 Holiday in Obertraun down-to-earth and quirky: Explore the UNESCO World Heritage region of Hallstatt Dachstein Salzkammergut during a vacation in Austria. 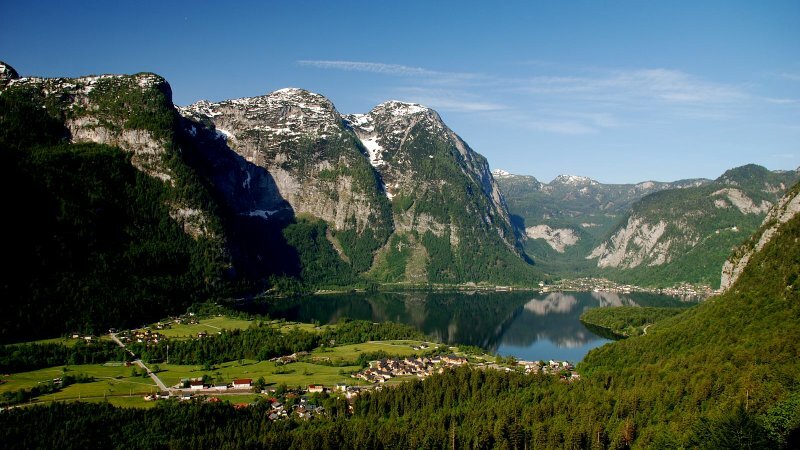 There’s much to discover and experience in Obertraun on the southern shore of the idyllic Lake Hallstatt: hiking routes for all types, romantic spots, sport challenges, and winter wonderlands. 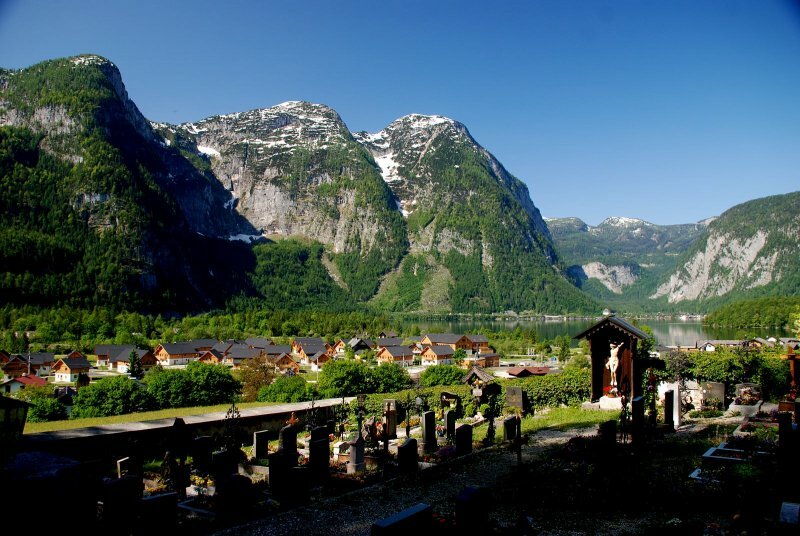 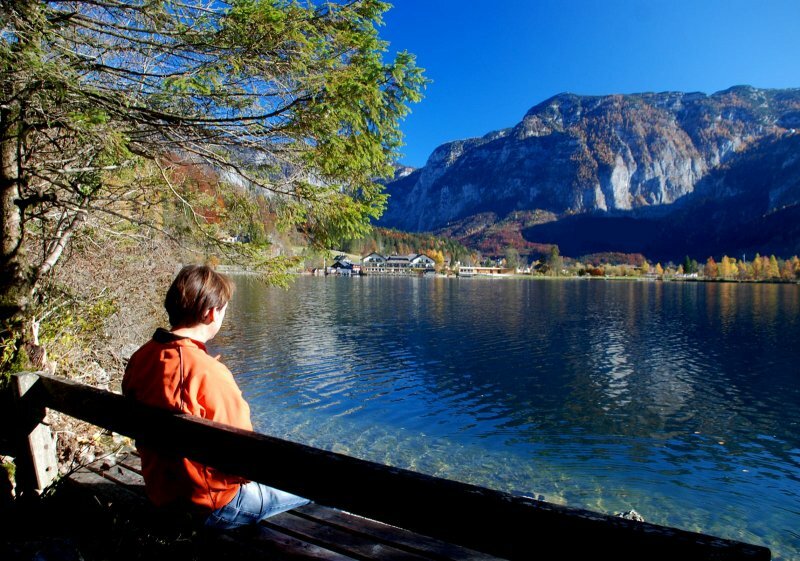 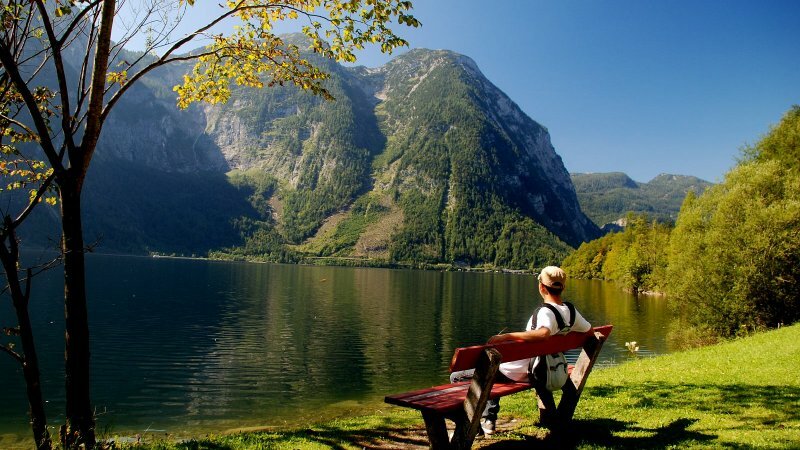 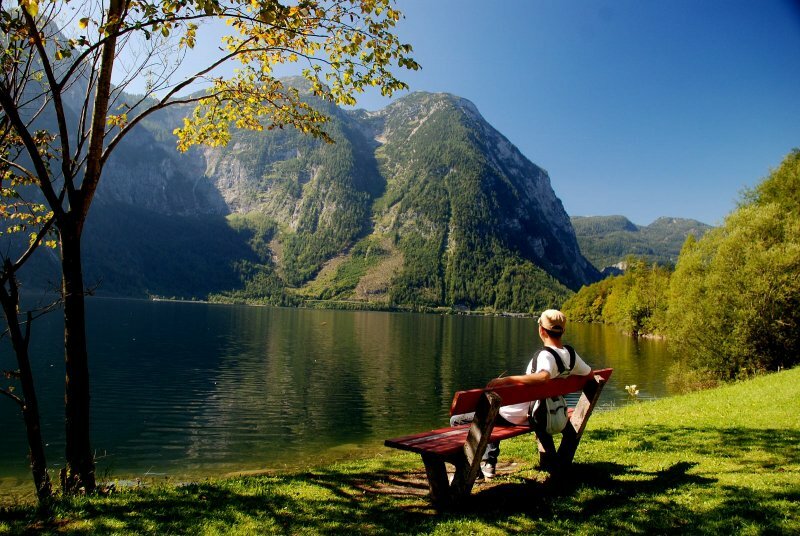 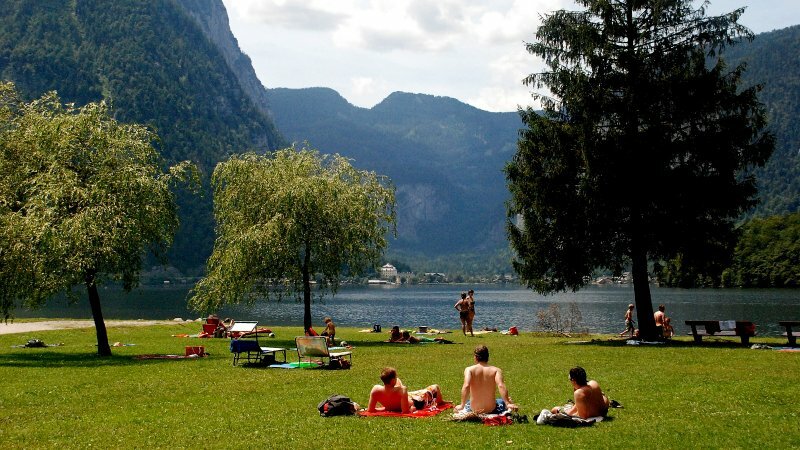 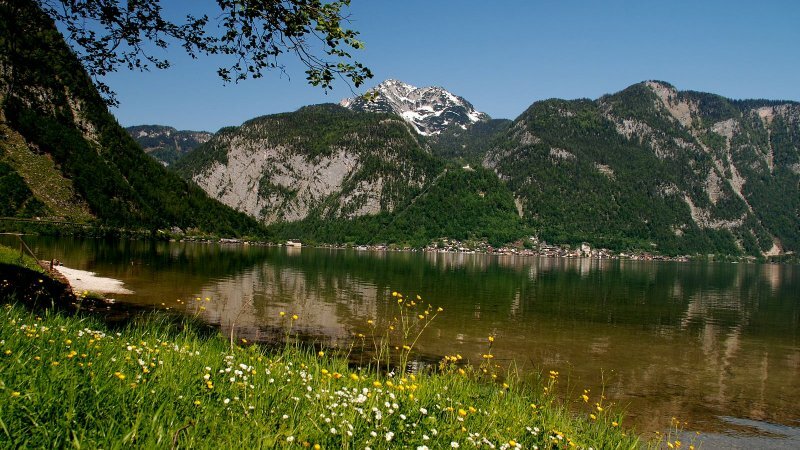 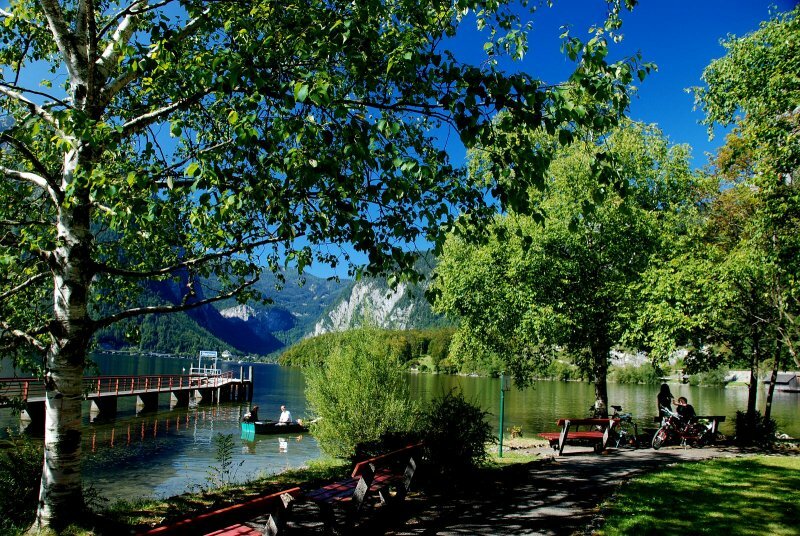 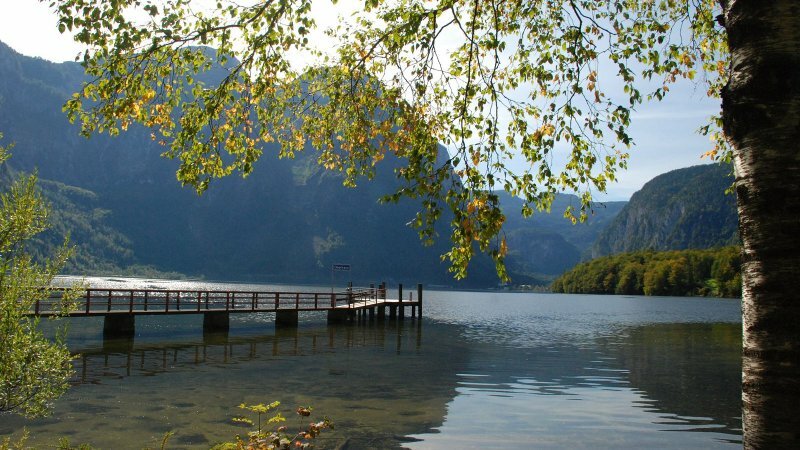 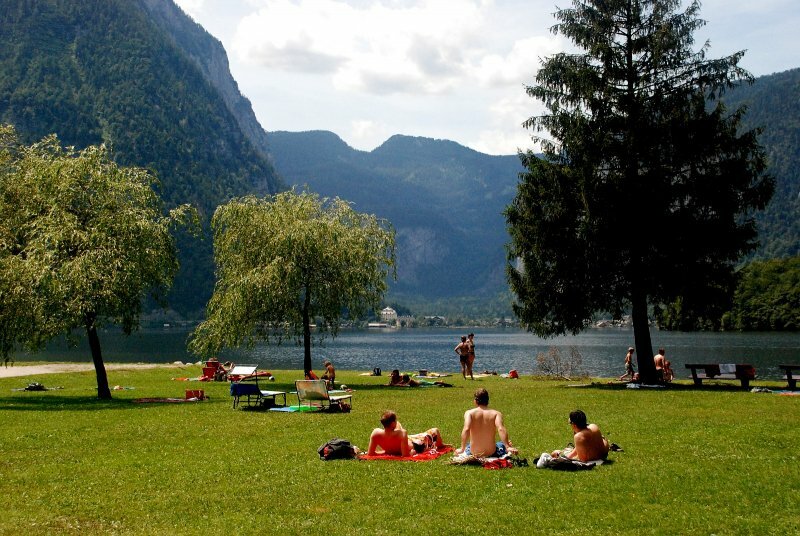 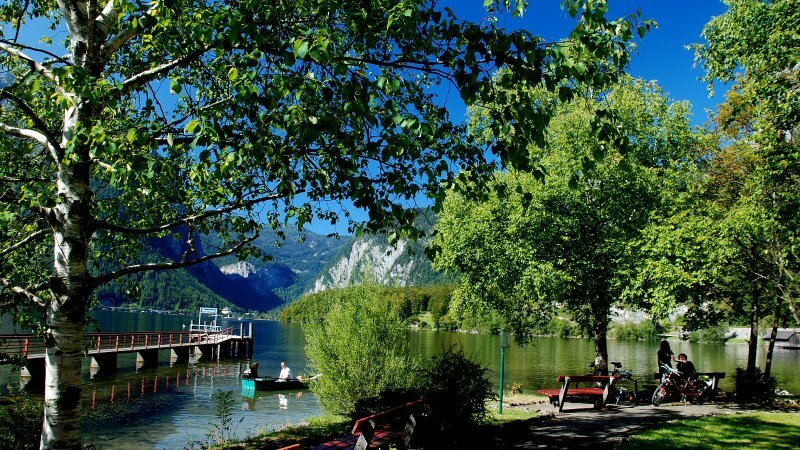 Whether it’s through water fun on the lake, relaxing at the Koppenlacke, or a bike tour along Lake Hallstatt, boredom is never the case in Obertraun. 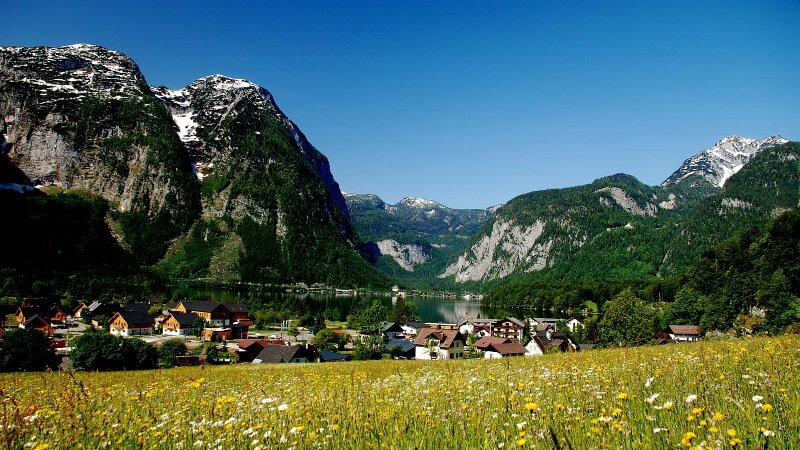 In terms of experience-rich outings, Obertraun offers the nearby historical town of Hallstatt with its Salzwelten salt mine, numerous hiking paths and visits to the fascinating ice caves within the Dachstein Mountain or the impressive “5fingers” viewing platform on the Krippenstein. 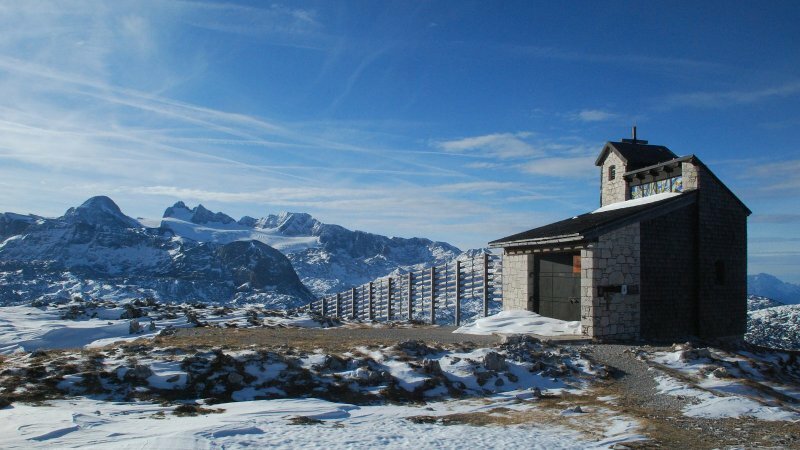 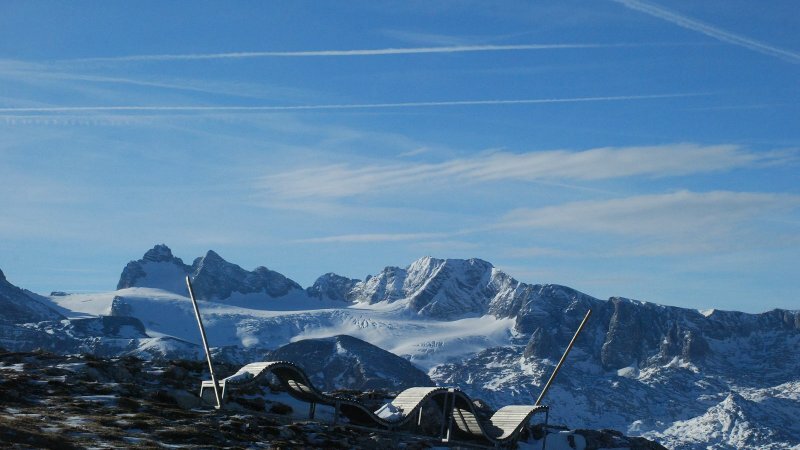 In winter, snow-hungry visitors can also find their hearts’ desires: freeriding, snowboarding, ski touring, and snowshoeing in the Freesports Arena Dachstein Krippenstein. 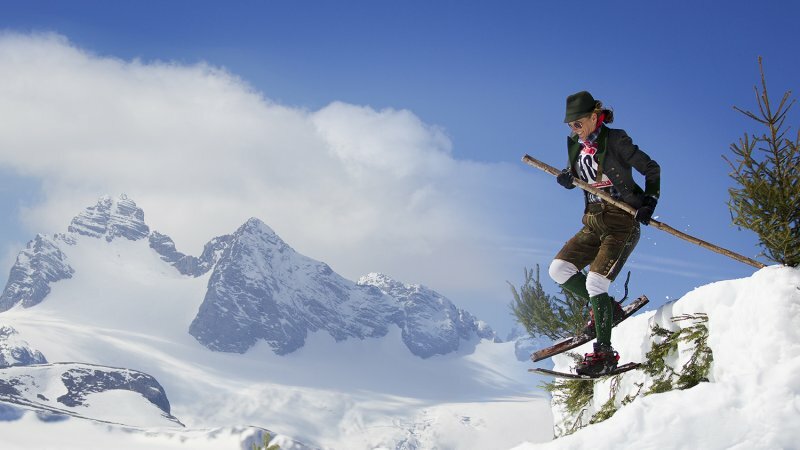 From beginners to professionals, the Krippenstein has something for everyone. 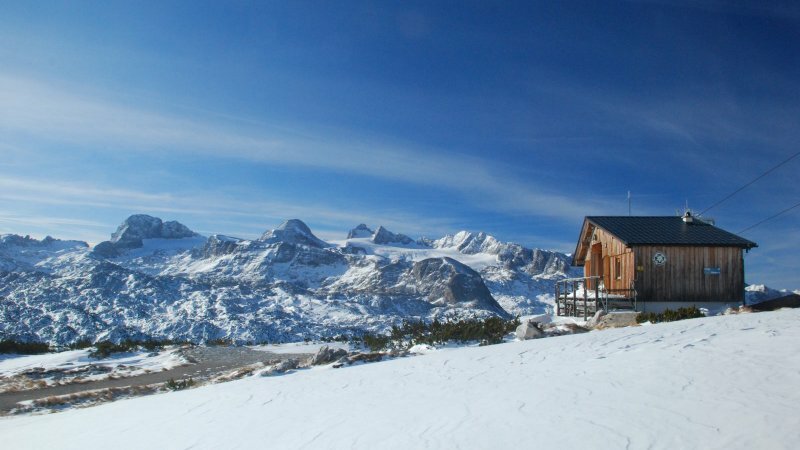 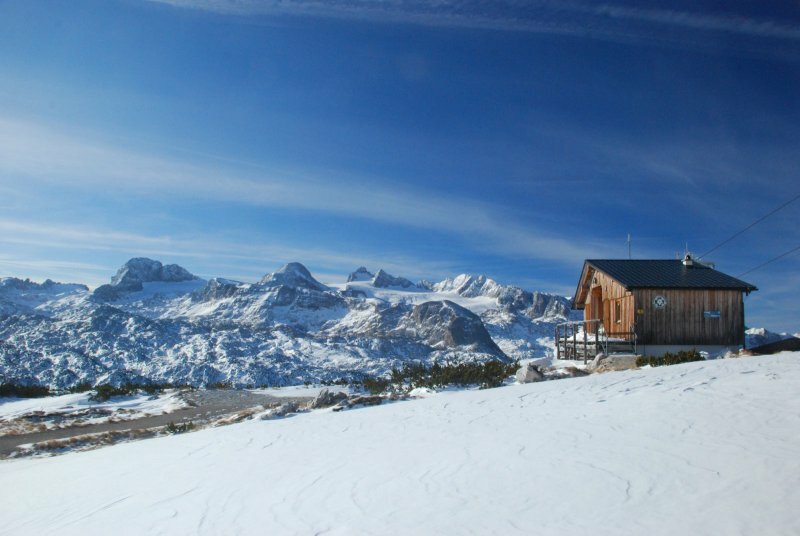 In both summer and winter, cosy mountain huts, such as the Lodge on the Krippenstein or the Schilcherhaus on the Gjaidalm, provide a relaxing finale to exciting hiking and thrilling skiing days. 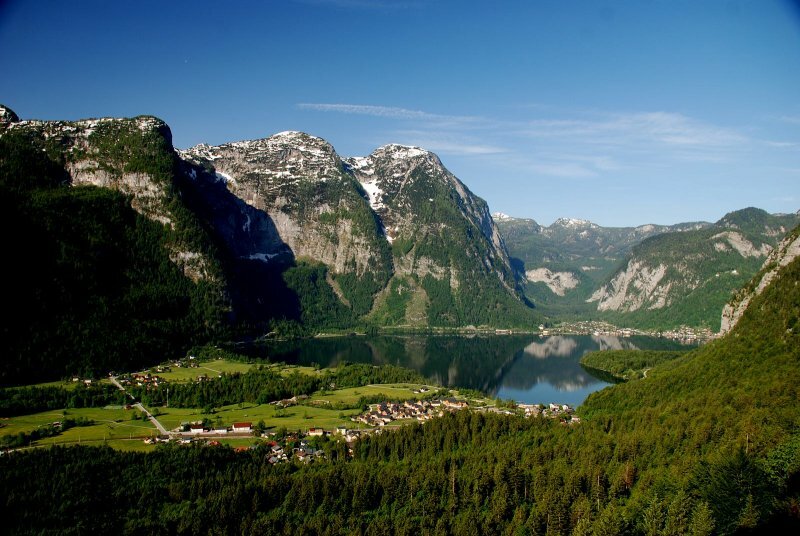 Boredom is yesterday’s news – today it’s all about Obertraun on Lake Hallstatt! 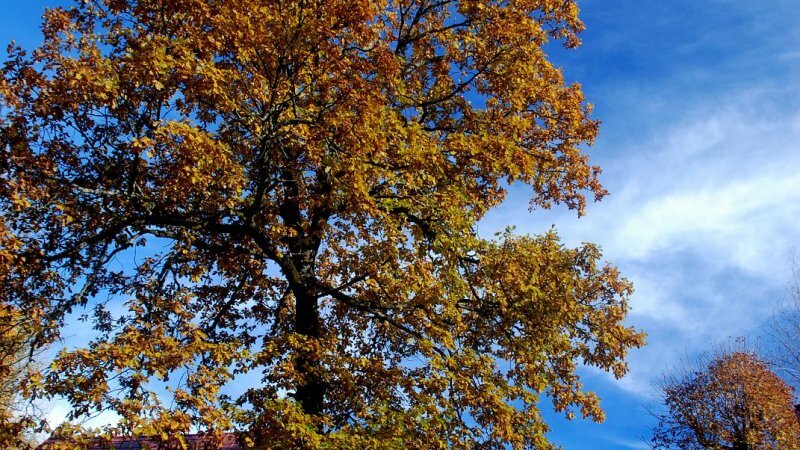 Give your friends, relatives or acquaintances a little treat and share this page on Facebook, Twitter or Google Plus. 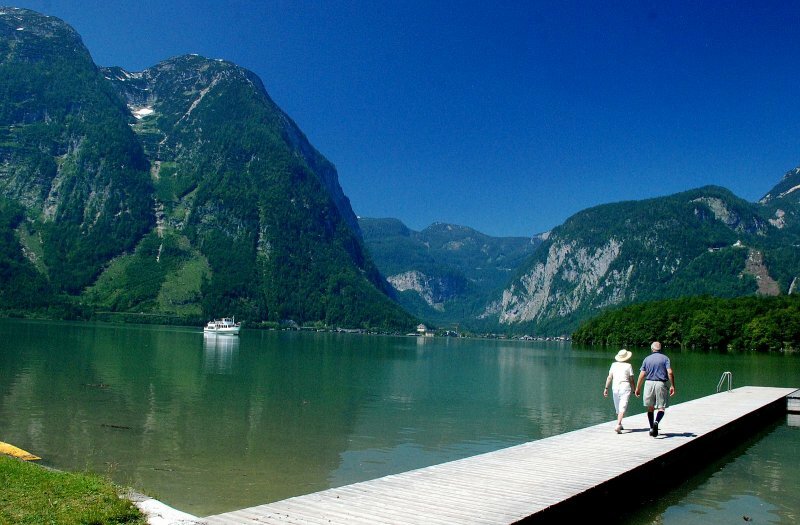 Bacause a holiday on Lake Hallstatt is there for everyone!